Video Answers "What is a Protein?" 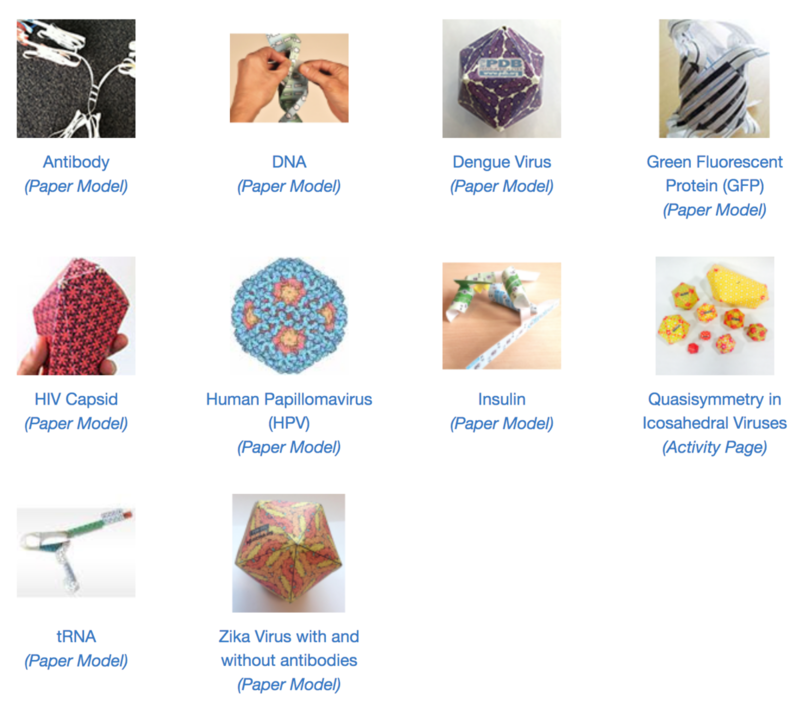 PDB-101 hosts a collection of Paper Models to build 3D models of DNA, transfer RNA (tRNA), dengue virus, green fluorescent protein (GFP), and more. Supporting materials are available, including videos demonstrating how to create some of the models. Other PDB-101 materials include the Molecule of the Month series, posters, animations, and curricula. PDB-101 is an online portal for teachers, students, and the general public to promote exploration in the world of proteins and nucleic acids. PDB-101 features support learning about the diverse shapes and functions of these biological macromolecules and their relationship to biomedicine and agriculture, from protein synthesis to health and disease to biological energy. Frances Arnold, a winner of the 2018 Nobel Prize in Chemistry, pioneered the use of evolution to create enzymes with entirely new functions. This has inspired a new Molecule of the Month article on the Directed Evolution of Enzymes and a new Browse section that collects all PDB-101 materials related to Molecular Evolution. The diverse plants, animals, and other living things that currently populate the Earth are thought to have evolved from a common primordial ancestor. Atomic structures have revealed the molecular mechanisms of evolution, showing how molecules change by random mutation and recombination, and are selected for optimal function. Learn more about these structures at PDB-101. 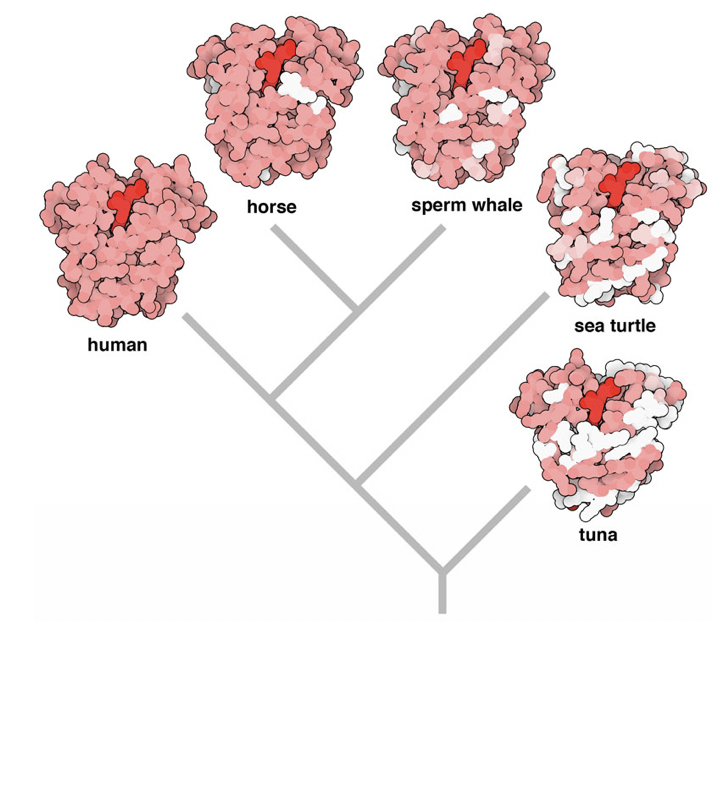 Biological evolution is being harnessed in the lab to create new enzymes. 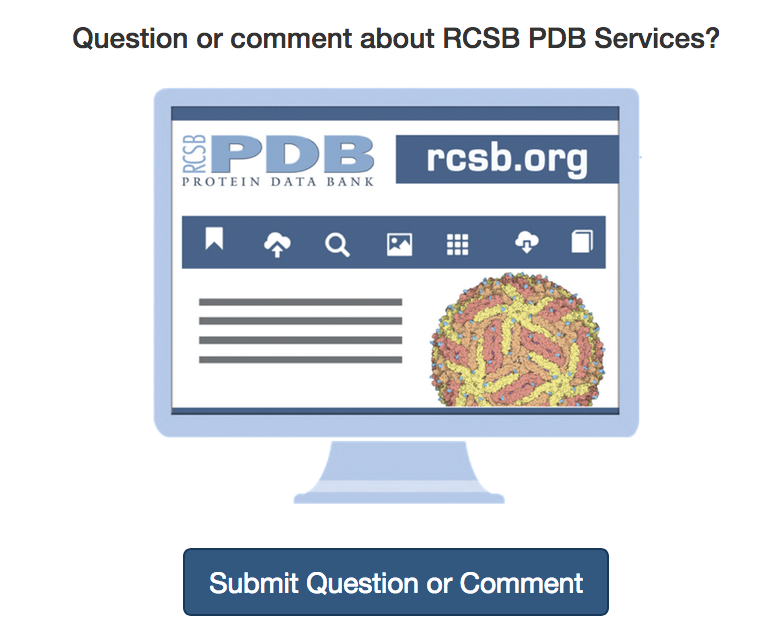 RCSB PDB's Customer Services collects and answers questions about the website, PDB data, and structural biology. Nearly 1000 unique users initiate new electronic conversations each year. Questions and comments come from students new to structural biology, users involved in the general study of science, and domain experts from the various disciplines that utilize PDB data. Related resources include Help Topics for a variety of RCSB PDB services, Website FAQ, Guide to Understanding PDB Data, and a Service Status page that indicates if all online services are up and running. An orange Contact Us button appears on every RCSB.org page. Let us know what you think--we love to hear from you. 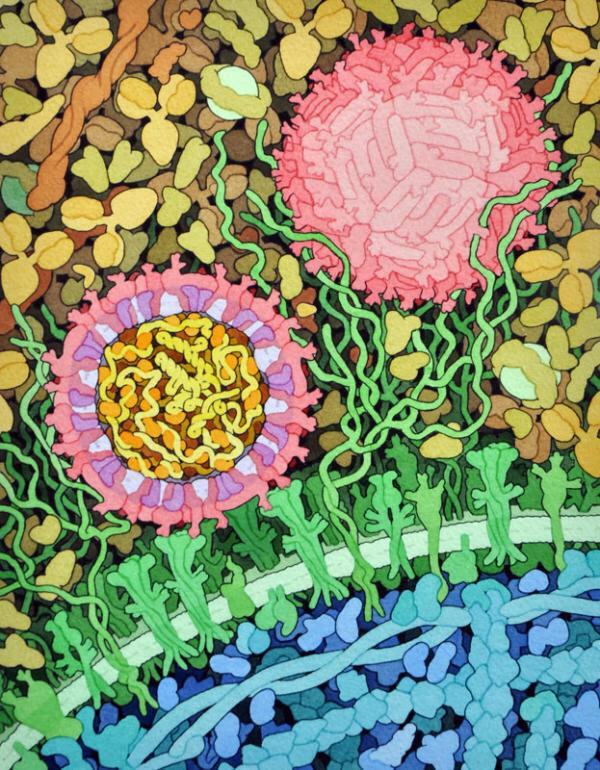 From Atoms to Cells: Using Mesoscale Landscapes to Construct Visual Narratives looks at how mesoscale illustrations that integrate data from molecular and cellular biology help to provide context in molecular biology education. 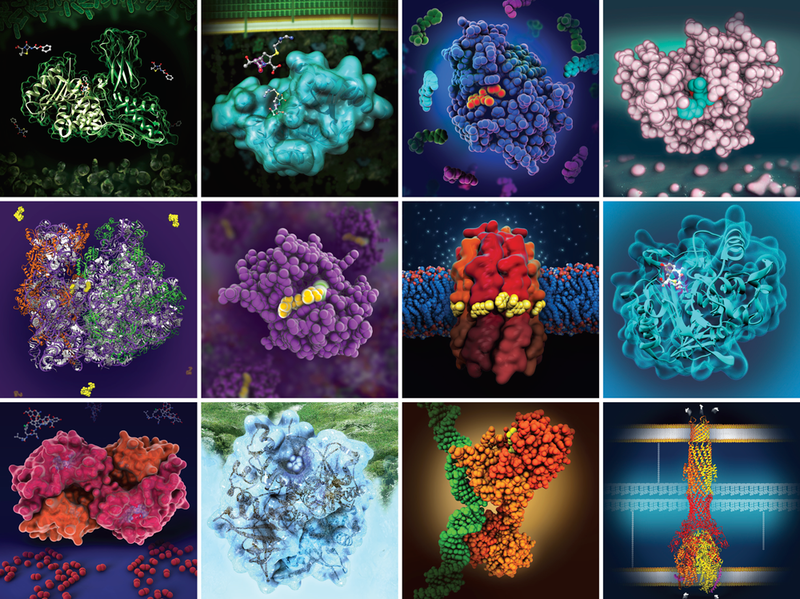 Molecular Illustration in Research and Education: Past, Present, and Future reviews best practices for molecular illustration. As a new Ebola outbreak develops in the Congo, researchers are studying Ebola Virus Proteins to help develop drugs and a vaccine. Visit PDB-101 to explore these structures as highlighted in the Molecule of the Month and a related video. 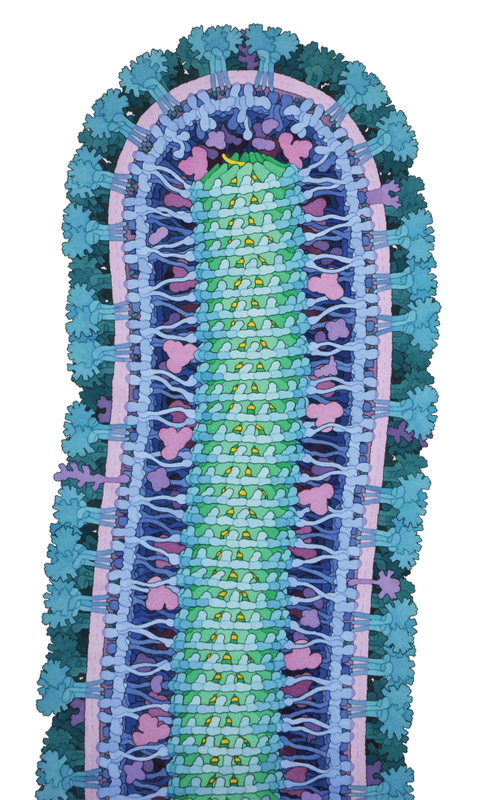 This intricate painting shows this tiny, notoriously lethal virus in minute detail, using the structural information available in the PDB. A new structure of the helical nucleoprotein-RNA complex of ebola virus has been used to update the related Molecule of the Month feature. Each November, the WHO's World Antibiotic Awareness Week (WAAW) aims to increase global awareness of antibiotic resistance (AMR) and to encourage best practices among the general public, health workers and policy makers to avoid the further emergence and spread of antibiotic resistance. Since the discovery of penicillin, researchers have developed better and better antibiotics to fight microbial infection. Bacteria, in turn, have evolved more and more effective ways of resisting these drugs: by destroying them, by pumping them out, or by modifying the target of the drug. Atomic structures help us understand resistance to antibiotics and develop new ways to fight infection. 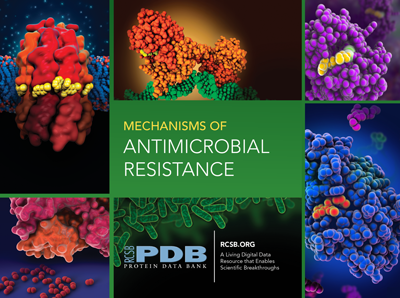 New resources at PDB-101 are available to learn about AMR at the molecular level. The poster Superbugs! How Bacteria Evolve Resistance to Antibiotics highlights the protein structures that medical researchers are using to search for ways to fight these superbugs. The 2018 Video Challenge inspired instructive videos created by high school students that presented the Mechanisms of Bacterial Resistance to Beta-lactam Antibiotics. 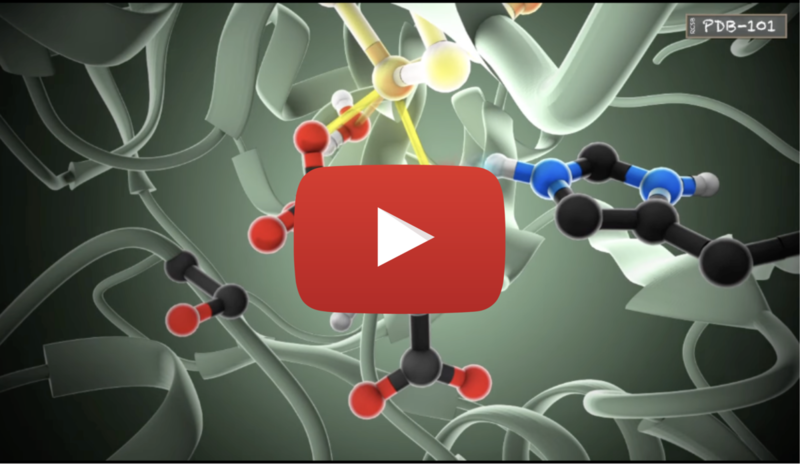 Mechanisms of Bacterial Resistance to Aminoglycoside Antibiotics is focus of the 2019 Video Challenge. 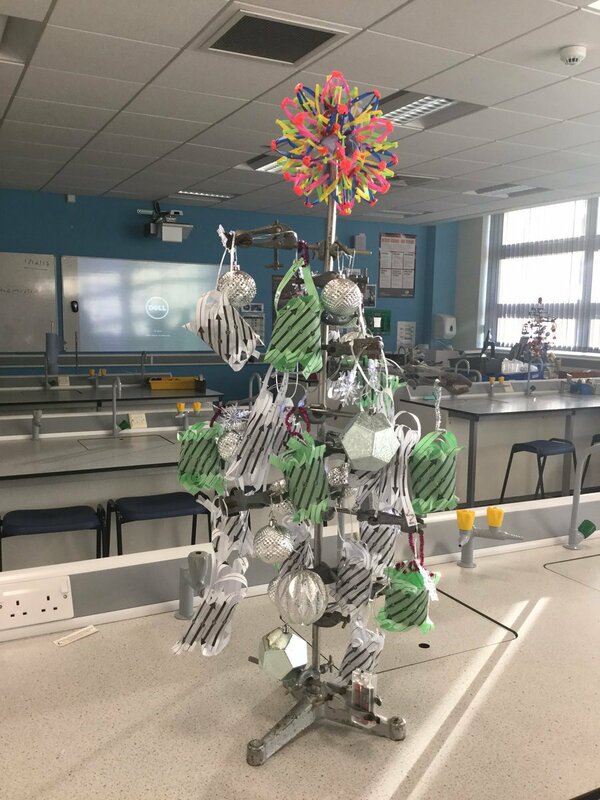 High schools students are asked to tell a story that communicates the molecular changes that occur in bacteria that help them to become resistant to aminoglycoside antibiotics using relevant 3D protein structures. Videos should also address the dangerously high level of antibiotic resistance caused by misuse and overuse of antibiotics. Entries can be submitted as early as January 15, 2019. 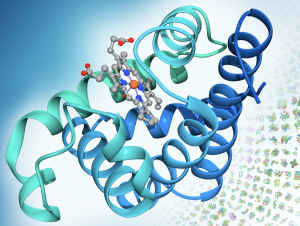 The AMR Browse category links to all AMR-related resources at PDB-101. 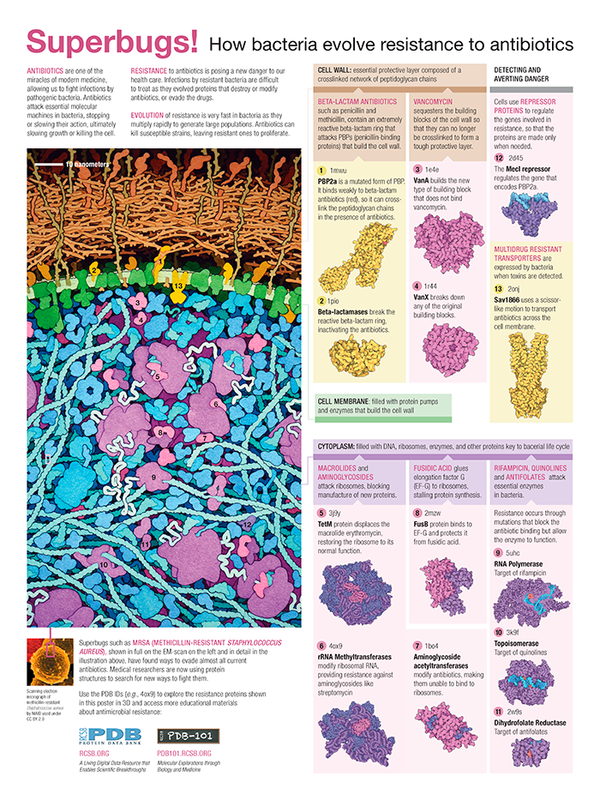 Written and illustrated by David S. Goodsell, Molecule of the Month features provide an easy introduction to PDB structures for teachers and students around the world. Since January 2000, this series has explored the structure and function of biomacromolecules from AAA+ Proteases to Zika Virus. Each installment includes an introduction to the structure and function of the molecule, a discussion of the relevance of the molecule to human health and welfare. Most articles include interactive 3D views in JSmol to highlight specific structural features. New 3D views have been added to popular articles including Collagen, Lysozyme, DNA, Ferritin, Hemoglobin, and Catalase. 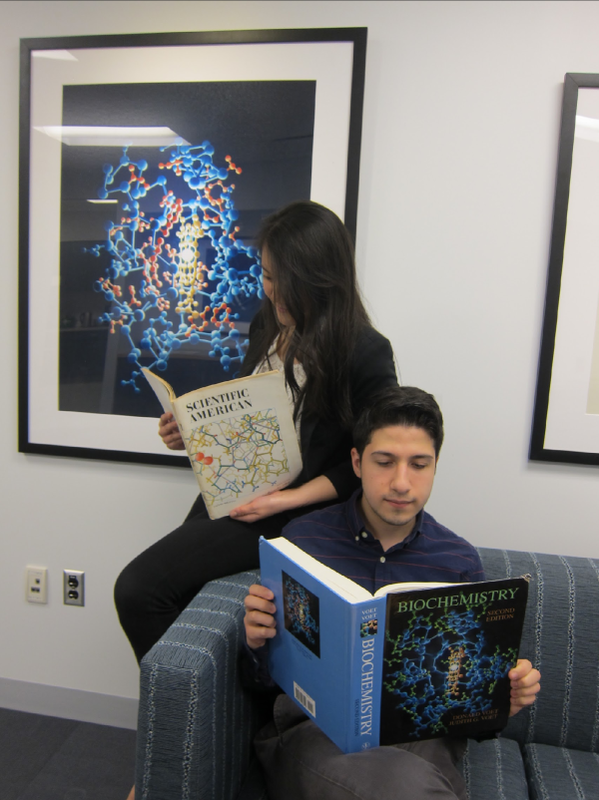 These features were handcrafted by RCSB PDB intern Belle Lin. Explore one of these new features today! 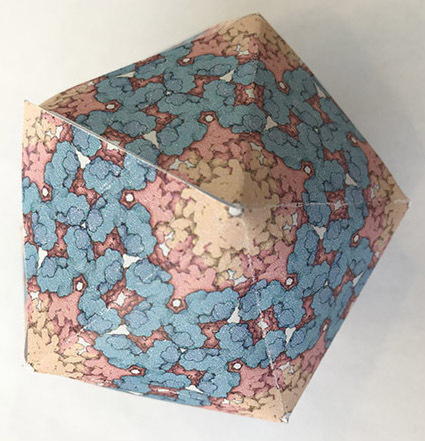 In the latest RCSB PDB Newsletter, high school teacher Daniel Williams and SPARK participants describe what happens when the Structural Biology Pipeline Meets the High School Classroom in two features Hypothesis-Based Structural Biology and Determination and Refinement of a Crystal Structure. Hypothesis-Based Structural Biology in the High School Classroom looks at how students from Shelter Island High School (in a small rural district on Shelter Island, NY) are using PDB data to answer questions about methylenetetrahydrofolate reductase (MTHFR), an enzyme implicated in many human diseases. Determination and Refinement of the Crystal Structure of Proteins Block Allocation Group at Brookhaven National Laboratory describes how students and teachers from Long Island school districts (Eastport South Manor HS, Northport HS, Bayshore HS, Connetquot HS, Pendleton Hauppauge HS, William Floyd HS, Shelter Island HS) are collaborating on the crystallization, generation of putative ligands, and elucidation of protein structures at the National Synchrotron Light Source II (NSLS II) at Brookhaven National Laboratory (BNL). Other articles in this issue of the RCSB PDB Newsletter look at how PDB Benefits Global Health, Science, Economy; Exploring Distance, Angle, and Dihedral Measurements; and Meeting PDB in VR with Nanome. More at the Fall 2018 Newsletter. Will you attend the 2018 New Jersey Science Convention (NJSC, October 23-24 in Princeton)? Be sure to visit the RCSB PDB/PDB-101 booth to pick up learning resources. We would love to hear your feedback and suggestions for new materials. To learn how to approach scientific concepts using bioinformatics tools and an ever-growing body of biological data, attend Teaching Biology Using Scientific Databases on Tuesday, October 23 at 3:00 pm (Session 084, Room Wilson). Not attending NJSC? 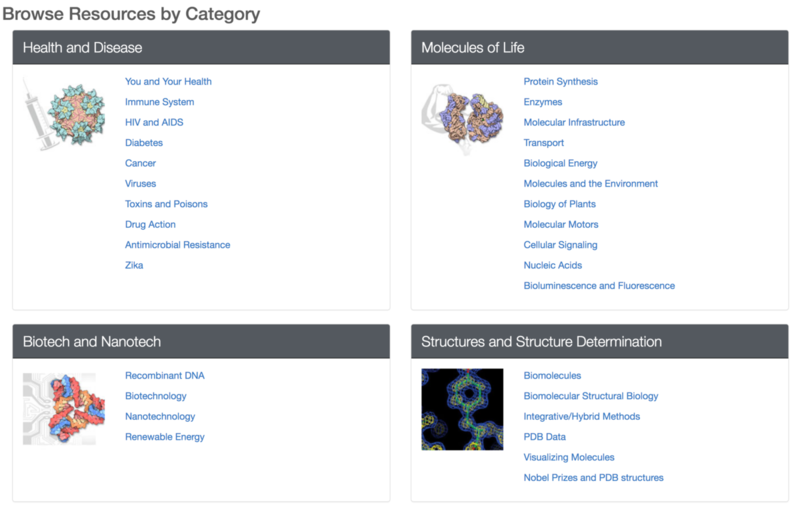 Use the Browse feature to tour PDB-101 materials organized by subject category. Myoglobin Fold (1987). Used with permission from the Howard Hughes Medical Institute (www.hhmi.org). All rights reserved. 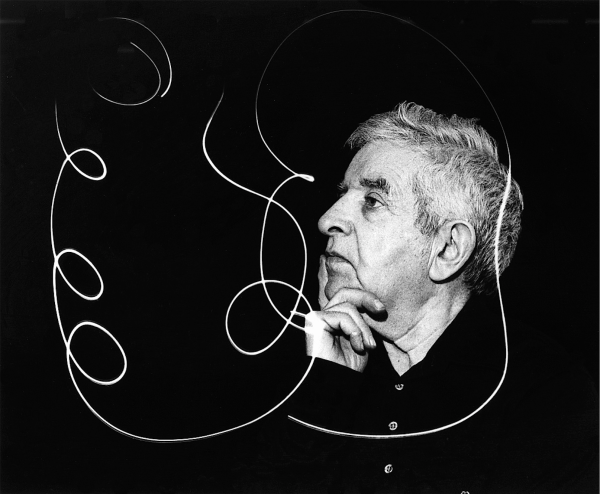 Irving Geis (October 18, 1908-July 22, 1997) was a gifted artist who helped illuminate the field of structural biology with his iconic images of DNA, hemoglobin, and other important macromolecules. 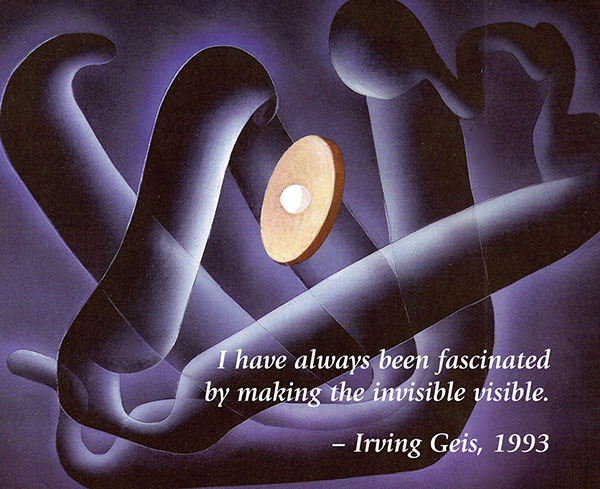 To celebrate Irving Geis' birthday, we invite you to tour the Geis Digital Archive. 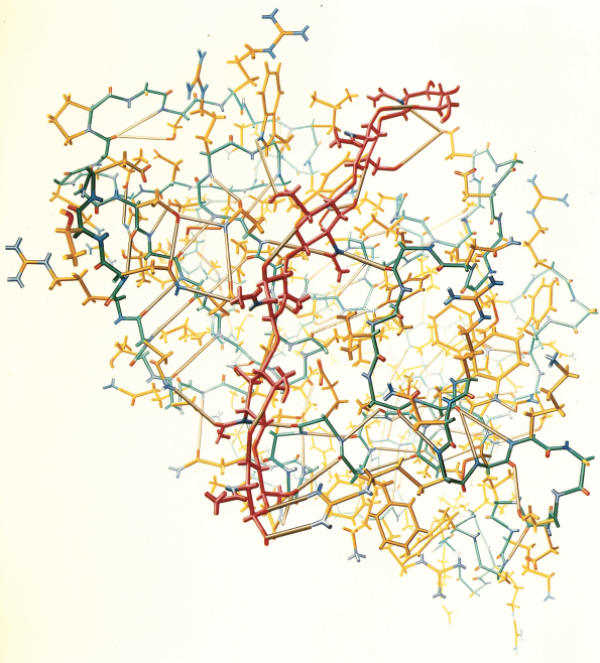 Through a collaboration with the Howard Hughes Medical Institute (HHMI), which owns the Geis Archives, RCSB PDB has established a digital archive of Geis' molecular art. This resource displays many of Geis' illustrations in the context of the corresponding PDB structures and related molecular information. These images are also made available for download for noncommercial usage. Under the direction of RCSB PDB team members, the Geis Digital Archive is being developed by undergraduates. Students created modern visualizations of the molecules featured in Geis' work, and researched the structures to provide background and supporting information about the illustrations. Alex Alvarado (University of Southern California) and Nicole Werpachowski (Fordham College at Lincoln Center) created the initial design of the resource as part of their Rutgers RiSE (Research in Science and Engineering) experience. Their work was funded during the summer of 2015 by an NSF REU. Rutgers students Belle Lin (2015-2016) and Christopher Markosian (2015-2016) continued work on the project. 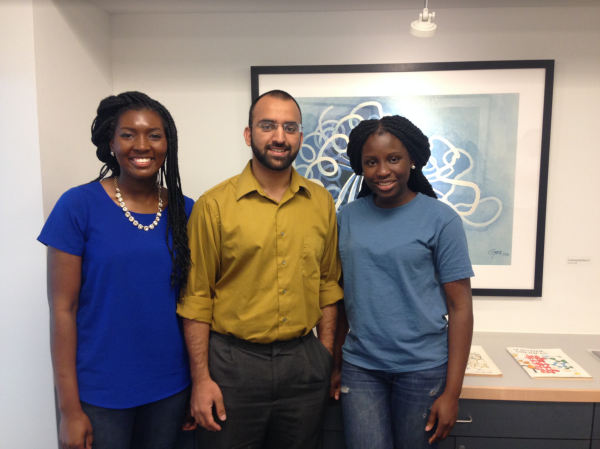 In 2016, Raheel Ahmad (Rutgers), Pamela Amechi (University of Maryland Baltimore Country), and Keyerra Daniels (Winthrop University) expanded the archive as part of the Rutgers RiSE program. Thanks to the Howard Hughes Medical Institute for their work on this project. Questions about the HHMI Geis Archives should be sent to archives@hhmi.org. 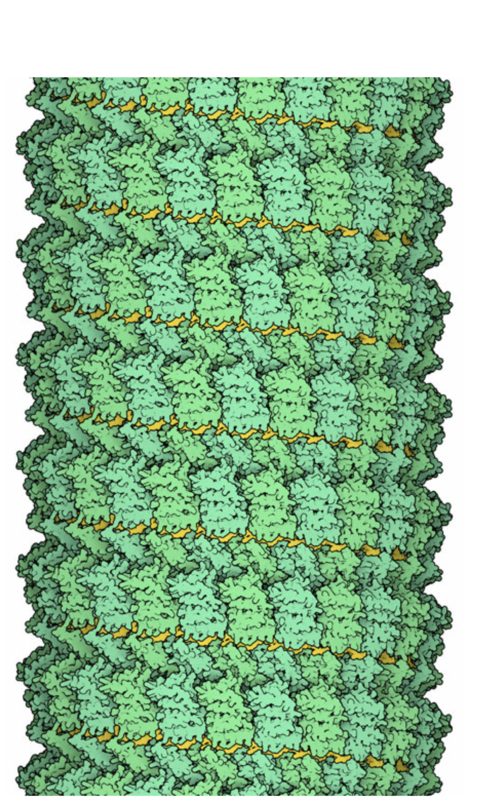 Image of Lysozyme by Irving Geis. Used with permission from the Howard Hughes Medical Institute (www.hhmi.org). All rights reserved. 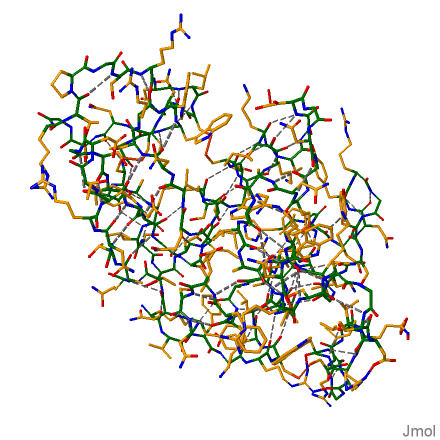 Image of PDB ID 1LYZ can be launched in 3D using Jmol. Sign up to receive electronic updates each quarter. The Fall 2018 issue of the RCSB PDB Newsletter is now online. This issue looks at how PDB Benefits Global Health, Science, Economy; explains how to Explore Distance, Angle, and Dihedral Measurements using the NGL 3D viewer at rcsb.org; and how to view PDB structures using a virtual reality viewer with software from Nanome. The 2019 Video Challenge for high school students has been announced. 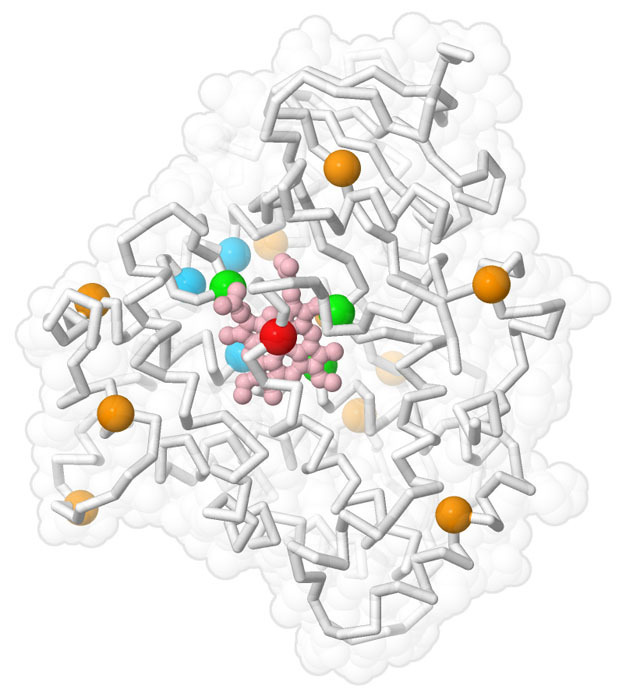 The Education Corner by Kristen Procko and the BioMolViz Group describes Creating Accessible Tools for Molecular Visualization Instruction..
RCSB PDB Newsletters and Education Corners are published and archived online. In 1962, Max Ferdinand Perutz and John Cowdery Kendrew received the Nobel Prize in Chemistry "for their studies of the structures of globular proteins." HemoHole is a game where hemoglobin has holes where the heme bean-bags can be tossed through. It was created at Rutgers by Institute for Quantitative Biomedicine graduate students Kristin Blacklock, Elliott Dolan, Will Hansen, Nancy Hernandez, and Dmitri Zorine. 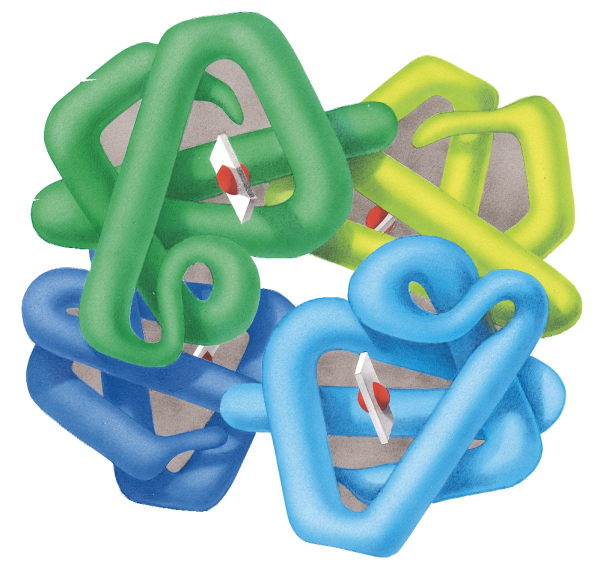 Visit PDB-101 to download the SVG files used to create HemoHole and to learn more about hemoglobin, myoglobin, PDB Pioneers, and Structural Biology and Nobel Prizes. The hemoglobin image was broken into two SVG files and laser cut/etched. HemoHole is a game where hemoglobin has holes where the heme bean-bags can be tossed through. 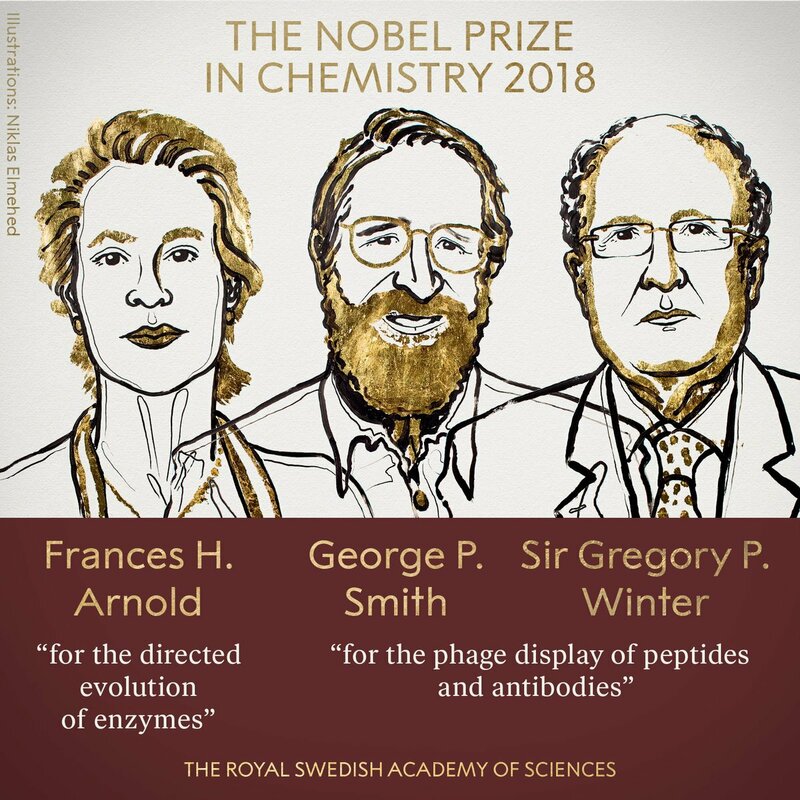 The 2018 Nobel Prize in Chemistry recognizes Frances H. Arnold ”for the directed evolution of enzymes” and George P. Smith and Sir Gregory P. Winter ”for the phage display of peptides and antibodies”. Their research has taken control of evolution and used it for purposes that bring the greatest benefit to humankind. Enzymes produced through directed evolution are used to manufacture everything from biofuels to pharmaceuticals. Antibodies evolved using a method called phage display can combat autoimmune diseases and in some cases cure metastatic cancer. Frances H. Arnold is a a PDB depositor. In 1993, she conducted the first directed evolution of enzymes, which are proteins that catalyze chemical reactions. Since then, she has refined the methods that are now routinely used to develop new catalysts. The uses of Frances Arnold’s enzymes include more environmentally friendly manufacturing of chemical substances, such as pharmaceuticals, and the production of renewable fuels for a greener transport sector. 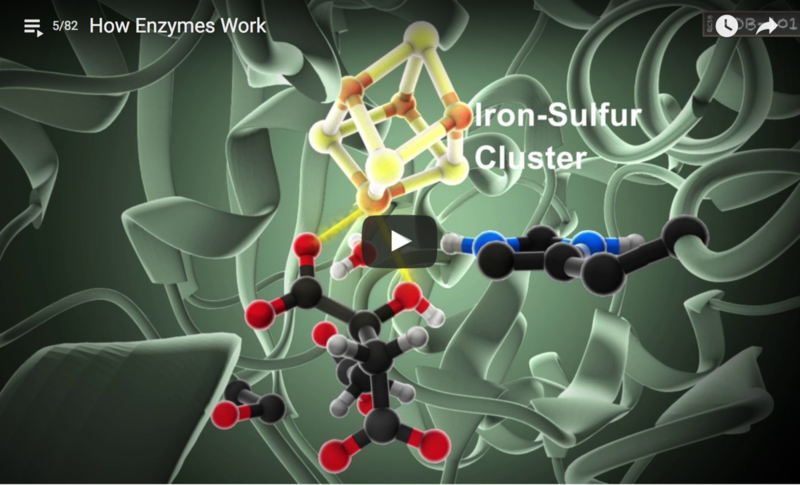 Learn more about enzymes and how they work with this video PDB-101. Browse all PDB-101 resources related to enzymes. In 1985, George Smith developed an elegant method known as phage display, where a bacteriophage – a virus that infects bacteria – can be used to evolve new proteins. PDB depositor Gregory Winter used phage display for the directed evolution of antibodies, with the aim of producing new pharmaceuticals. The first one based on this method, adalimumab, was approved in 2002 and is used for rheumatoid arthritis, psoriasis and inflammatory bowel diseases. Since then, phage display has produced anti-bodies that can neutralize toxins, counteract autoimmune diseases, and cure metastatic cancer. Text adapted from Press release: The Nobel Prize in Chemistry 2018. NobelPrize.org. Nobel Media AB 2018. Wed. 3 Oct 2018. PD-1 and its ligands are a new target for cancer therapy. Our immune system walks a fine, intelligently-managed line. It needs to fight invaders, but without attacking our own cells in the process. The major histocompatibility complex (MHC) gathers information about infections and delivers it to receptors on the surface of immune system T-cells. However, the response of the immune system to this information needs to be carefully balanced, and many other molecules, such as PD-1, tune this process, stimulating and inhibiting the action of MHC and T-cell receptors as necessary. Learn more about PD-1 (Programmed Cell Death Protein 1) at PDB-101's Molecule of the Month. Additional information is available on Tuning Immune Response with Costimulation. Browse all PDB-101 resources related to the immune system and cancer. 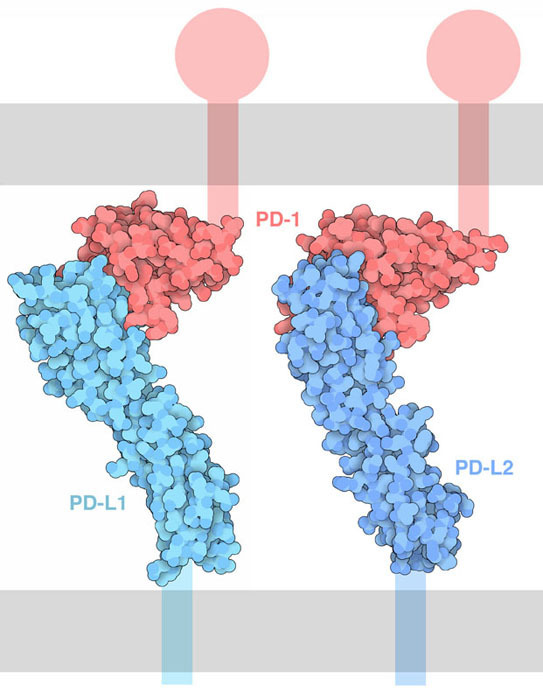 Interaction of PD-1 with its ligands PD-L1 and PD-L2. The cell membranes are shown schematically in gray, and the portions of the proteins not included in the structure are also shown schematically. Left: Honjo's 3bik and 3bp5 from Lazar-Molnar et al.). Visit PDB-101's Molecule of the Month for more. 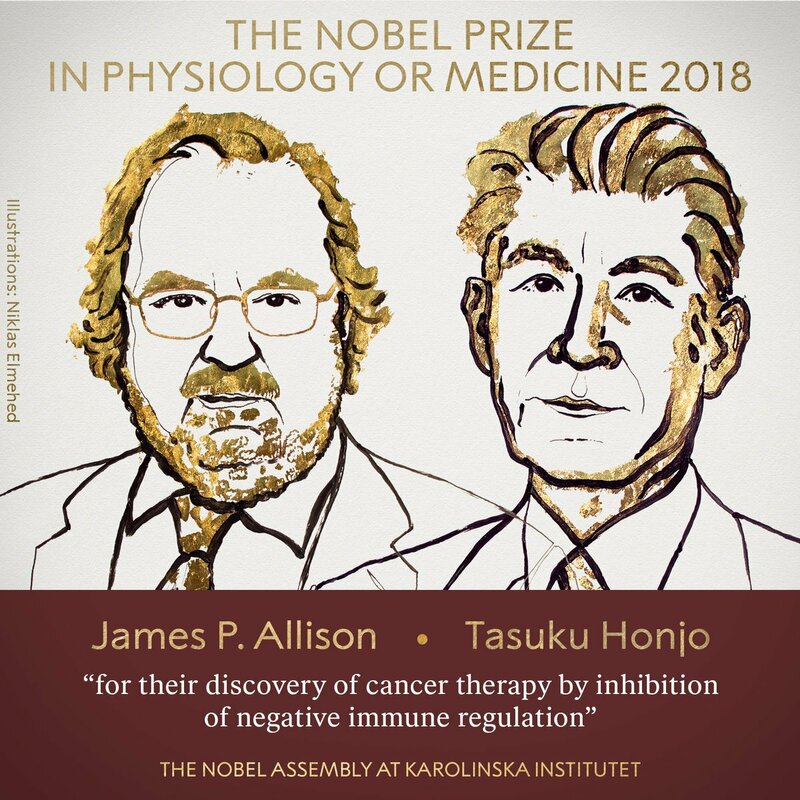 The Nobel Prize highlights achievements in physics, chemistry, physiology or medicine, literature and for peace. Since its inception, many awards have recognized achievements made in molecular biology, structural biology, and related research. Visit PDB-101 to explore the structures and methods behind these Prizes. September 17 kicks off National Postdoc Appreciation Week. 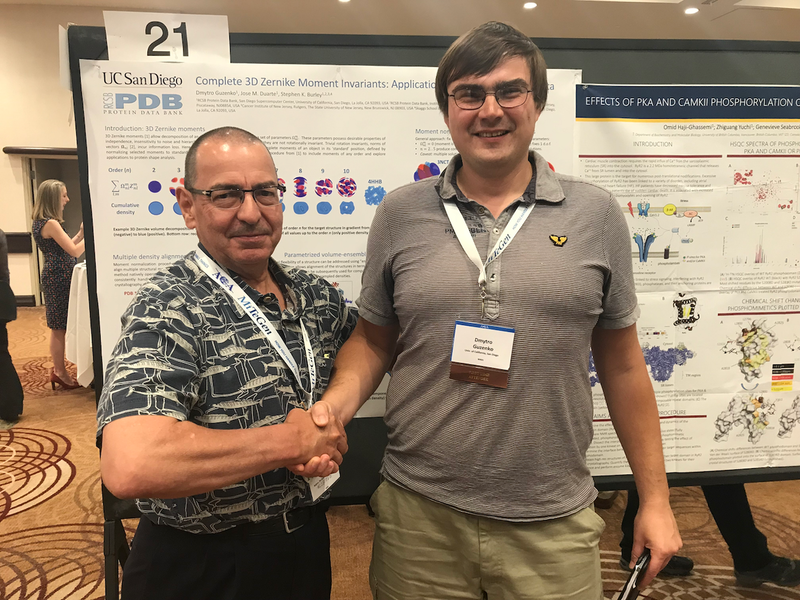 RCSB PDB Postdoc Dmytro Guzenko won the Journal on Structural Dynamics Poster Prize at the 2018 American Crystallographic Association meeting. We are looking for two postdocs to join Dmytro and our team. Positions are available for 3D Visualization and Analysis and Bioassembly/Machine Learning at UC San Diego/San Diego Supercomputer Center. Apply today! Antimicrobial resistance constitutes a global public health emergency. 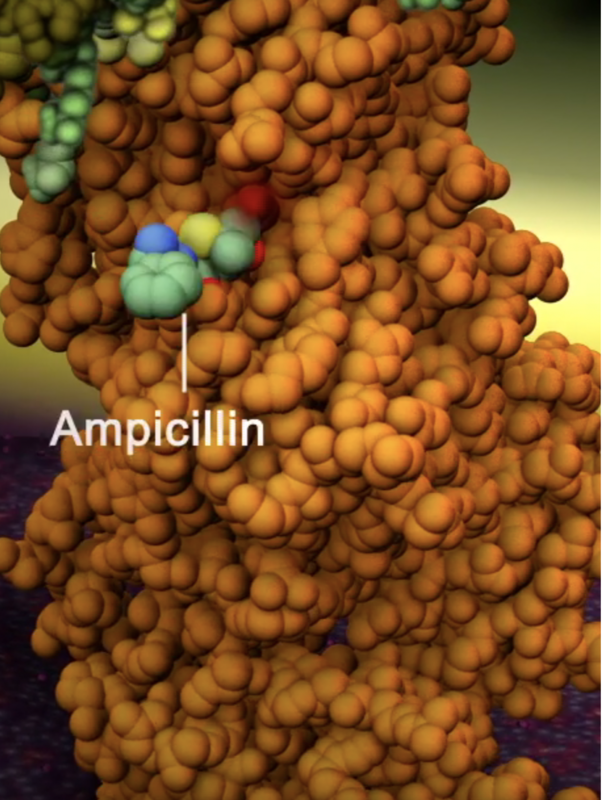 Most antibiotics target bacterial proteins that have no counterparts in human cells. However, as antibacterial drugs continue to be misused and overused, development of resistance to these agents is accelerating worldwide. Drug resistant bacteria, or “superbugs,” kill tens of thousands in the U.S. annually. Unless current trends are reversed, this number will increase ten-fold by 2050, transforming how we approach cancer chemotherapy, routine surgery, childbirth, etc. Professor Burley will discuss how the “superbugs” came about and what we can do to combat them. Join RCSB PDB Director Stephen Burley for a special presentation at the Chancellor's Colloquium on September 17, 2018 at Rutgers University in Piscataway, NJ. Register now. RCSB PDB Director Stephen Burley test drives Nanome at the American Crystallographic Association meeting. 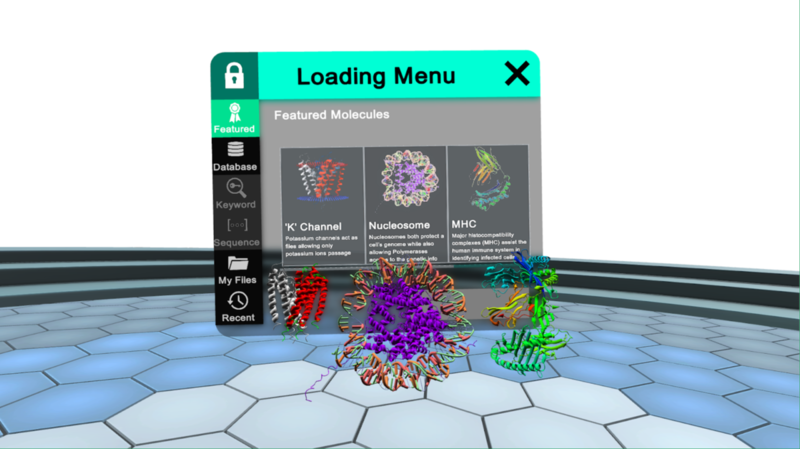 Explore PDB structures in virtual reality--for free. 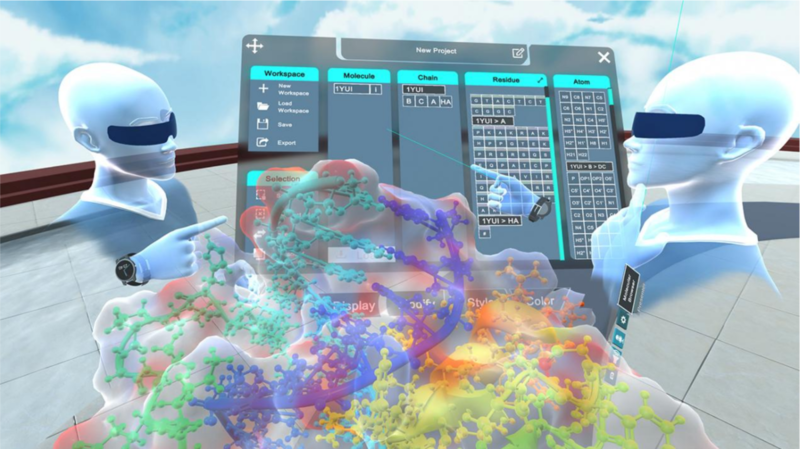 San Diego-based Nanome Inc., which created the first molecular modeling app for modern VR systems, has released its flagship software (Nanome) for free download on the Oculus, Steam, and Viveport stores. 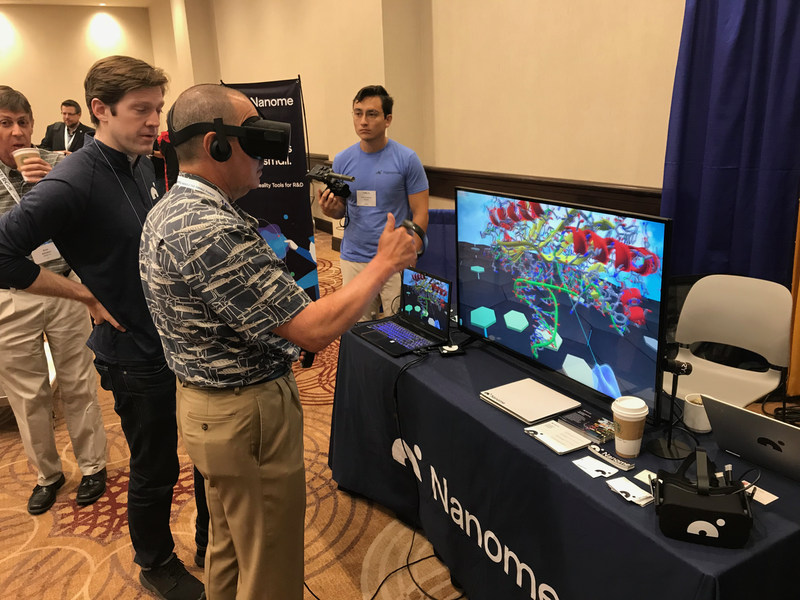 Nanome opens the door to a virtual world where users can experiment, design, and learn at the nanoscale alongside colleagues and friends. Nanome imports molecular structures directly from resources such as RCSB PDB, PubChem and DrugBank. Users can measure distances and angles between atoms, mutate amino acids, design new molecules, and much more. Nanome promotes seamless collaboration on on research, classroom presentations, or homework. Critical research findings can be presented in a virtual world alongside colleagues, friends, and audiences around the world. Nanome has worked with RCSB PDB to offer an ever-changing “Featured Molecules” menu that highlights structures featured in the Molecule of the Month series along with selected small molecules. Watch Nanome in action on their YouTube channel and on every Wednesday at 2pm PST on their educational Twitch Stream. PDB-101 is RCSB PDB’s online portal for teachers, students, and the general public that promotes exploration in the world of proteins and nucleic acids. Learning about the diverse shapes and functions of these biological macromolecules helps to understand all aspects of biomedicine and agriculture, from protein synthesis to health and disease to biological energy. 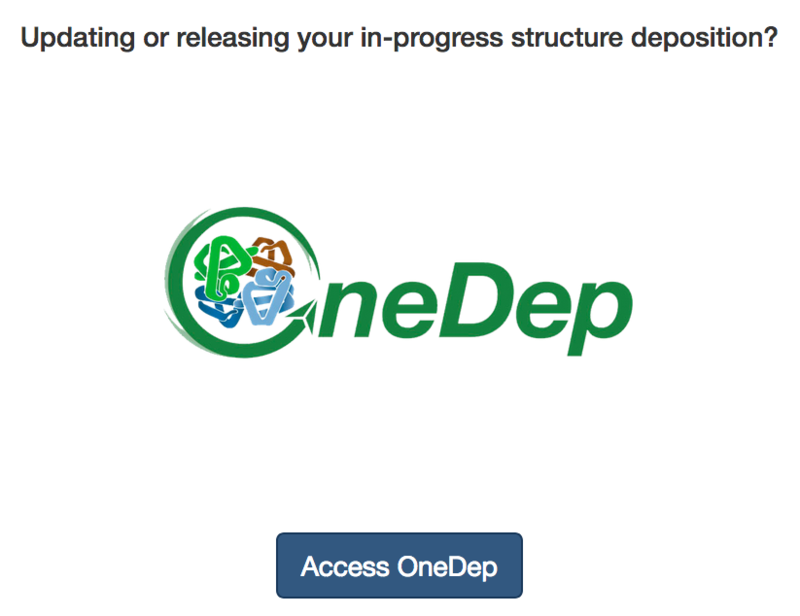 This website ("101", as in an entry level course) presents introductory materials that introduce beginners to the structures of proteins and nucleic acids contained in the PDB archive. Resources for extended learning are also provided. 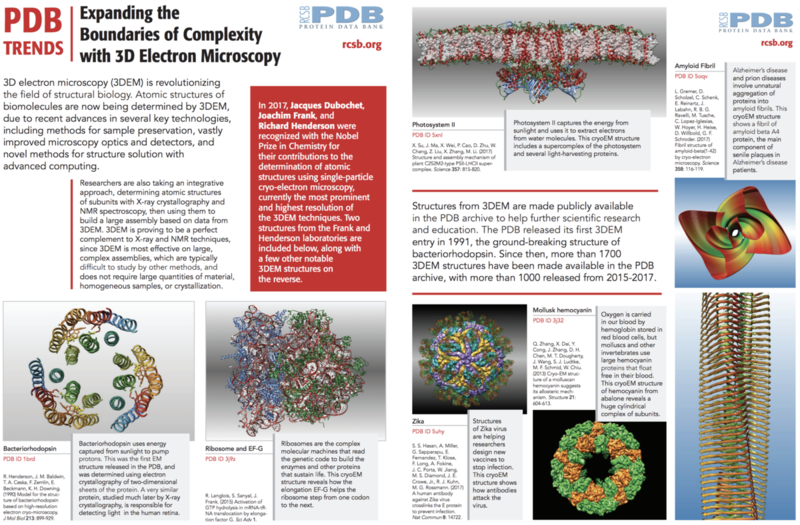 PDB-101 offers curricular materials, templates to create 3D paper models, Molecule of the Month articles, and other materials developed by RCSB PDB. Users can search the website for related materials using molecule name or keyword. The Browse option can be used to explore available PDB-101 resources organized by topics such as the immune system and renewable energy. PDB101.rcsb.org is updated with news and features regularly. 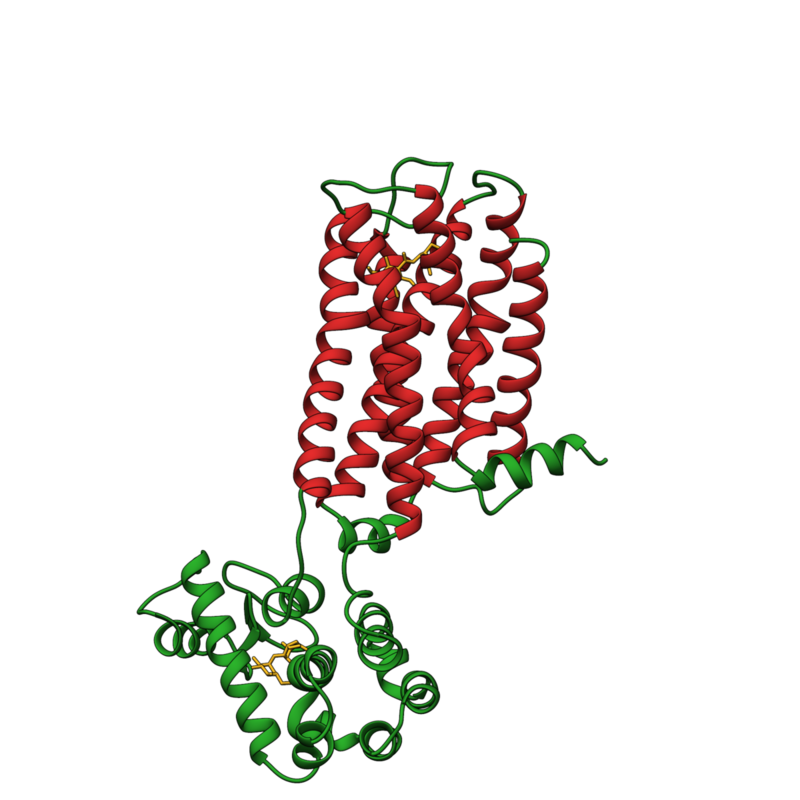 Image of hemoglobin from the Geis Digital Archive. Used with permission from the Howard Hughes Medical Institute (www.hhmi.org). All rights reserved. Learn why the proteins called enzymes are essential to life on earth, and observe an example catalysis mechanism in this video. 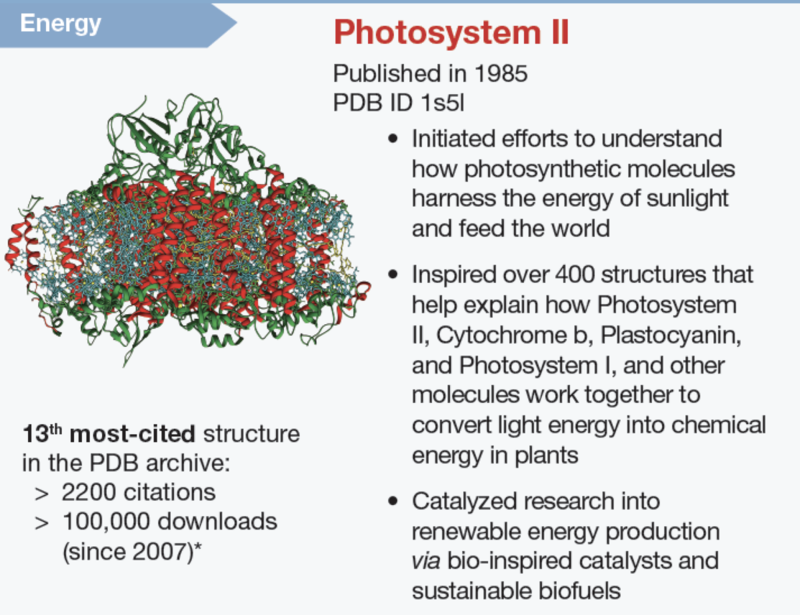 This review highlights many RCSB PDB accomplishments, including a look at the global impact of the resource. 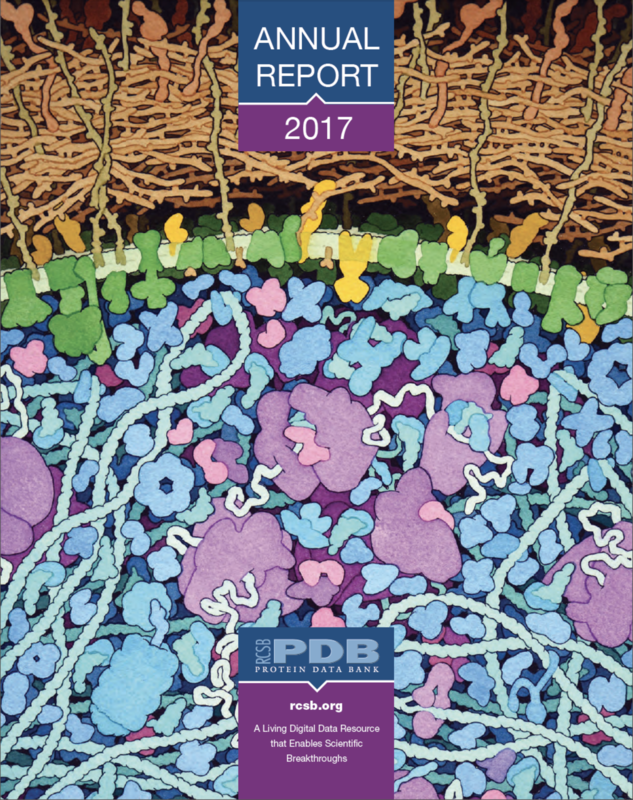 These bulletins provide a yearly snapshot of RCSB PDB activities and the state of the PDB archive. This edition is available as a PDF. If you would like a printed copy, please send your postal address to info@rcsb.org. This illustration shows the surface of a Staphylococcus aureus bacterium, highlighting the many ways this pathogen evades antibiotics. 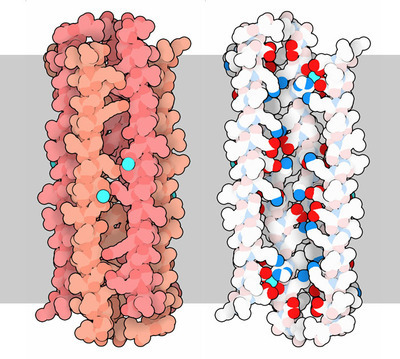 These include membrane-bound proteins (yellow) that break down beta-lactam antibiotics or expel antibiotics out of the cell, and many diverse cytoplasmic proteins (magenta) that destroy antibiotics or block binding to their cellular targets. More on Antimicrobial Resistance at PDB-101. 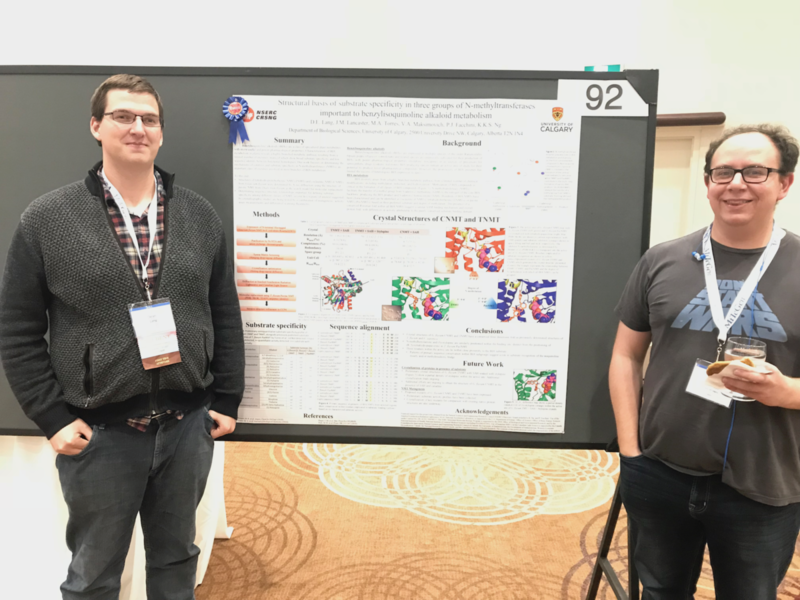 At this year's American Crystallographic Association's Annual Meeting, the RCSB PDB Poster Prize award went to to Dean Lang for Structural basis of substrate specificity in three groups of of N-methyltransferases important to benzylisoquinoline alkaloid metabolism (D.E. Lang, J.M. Lancaster, M.A. Torres, J.S. Morris, V.A. Maksimovich, P.J. Facchini, K.K.S. Ng, Department of Biological Sciences, University of Calgary, Calgary, Alberta, Canada). Many thanks to Poster Prize Chair Louise Dawe (Wilfrid Laurier University) and judges Jeffrey Lee (University of Toronto), Eric J. Montemayor (University of Wisconsin–Madison), Rachel A. Powers (Grand Valley State University), Catherine Lawson (Rutgers University), Matthew Clifton (Nurix, Inc.), Clara L. Kielkopf (Rochester University), Edwin Stevens (Western Kentucky University), Ana G. Gonzalez (Lund University), and Blaine Mooers (Oklahoma University). All 2018 awardees will be listed on the RCSB PDB website and will receive an educational book. Winner Dean Lang and coauthor MIguel Torres. 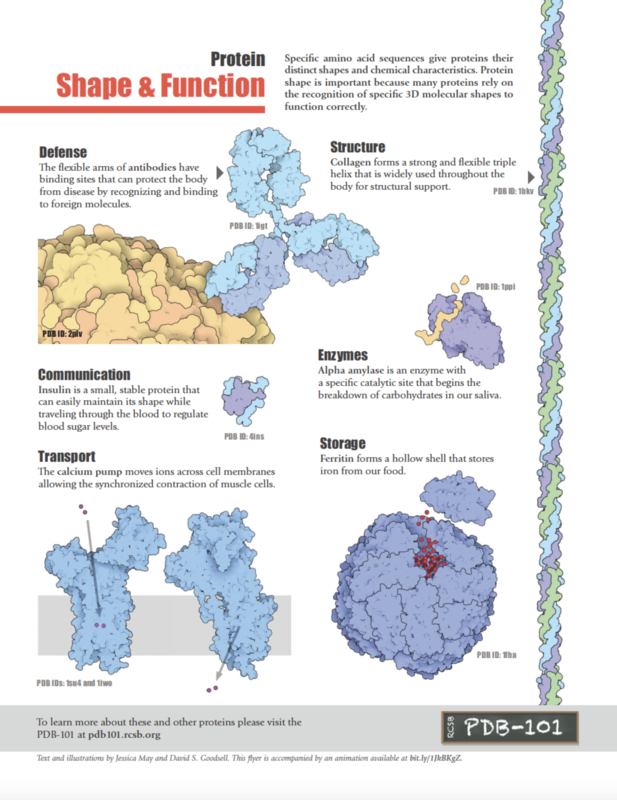 Download and print templates for viruses, DNA, and more at PDB-101. Instructions for cutting and assembling are included. Many models include related videos and/or activities, including antibody, DNA (instructions also available in Spanish), GFP, HIV capsid, insulin, and tRNA. 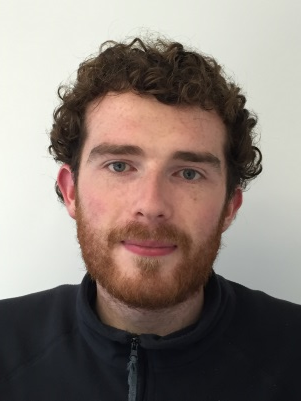 At this year's 2018 Intelligent Systems for Molecular Biology (ISMB) Conference, the award went to to Fergus Boyles for Learning from the ligand: improving binding affinity prediction using molecular descriptors (Fergus Boyles, Charlotte Deane, Garrett Morris, University of Oxford, United Kingdom). Many thanks to Co-Chairs Casey Greene (University of Pennsylvania) and Arjun Krishnan (Michigan State University), and Steven Leard (ISMB). 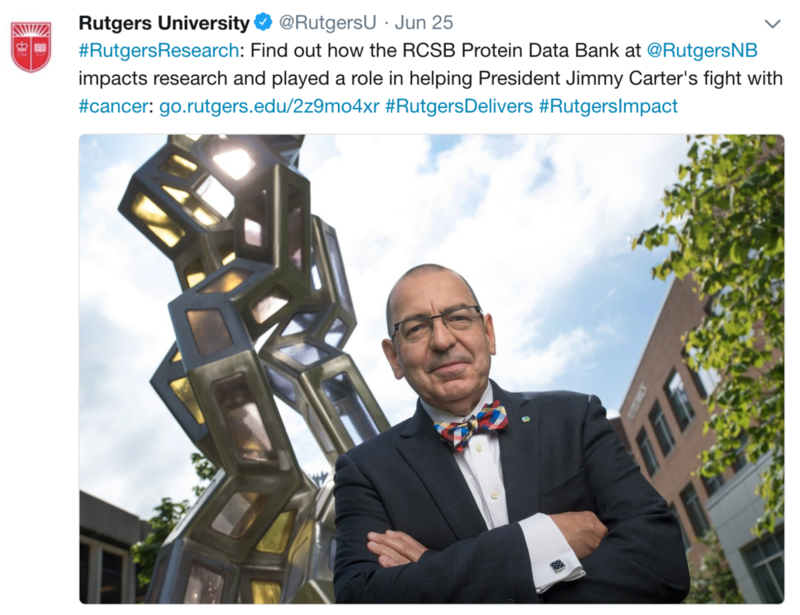 Rutgers Today recently looked at how PDB has transformed biology and medicine by impacting research, education and drug discovery. 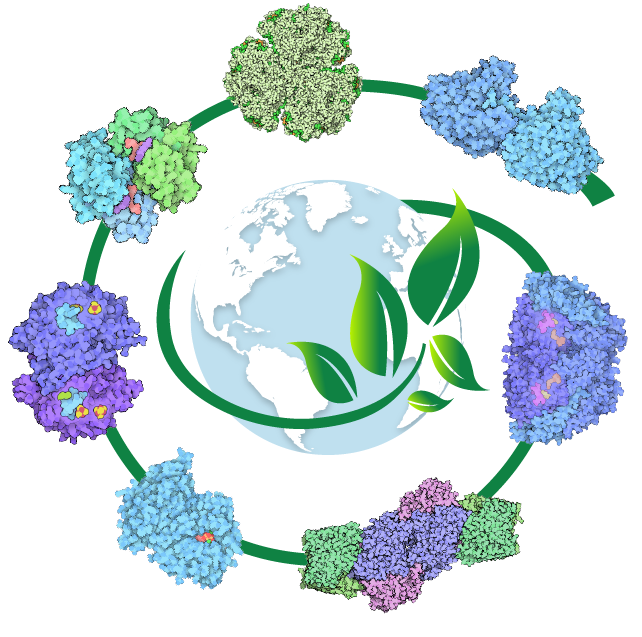 The globally unique PDB – the first open-access, digital data resource in biology – is managed by the Worldwide Protein Data Bank partnership between data centers in the U.S., Europe and Asia. U.S. operations are led by Rutgers and the University of California, San Diego-San Diego Supercomputer Center. Funding comes from the National Science Foundation, National Institutes of Health and U.S. Department of Energy. The data bank has a long history with Rutgers. Helen M. Berman, Board of Governors distinguished professor emerita of chemistry and chemical biology at Rutgers–New Brunswick, co-founded the data bank in 1971 and brought it to Rutgers in 1998. She continues to provide support in her role as director emerita. Learn more at Rutgers Today. 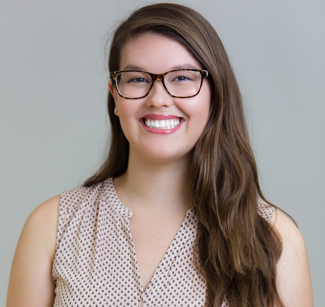 In the latest Newsletter, PDB depositor Leah Cairns @lscairns18 (Johns Hopkins University School of Medicine) describes her experiences From Structural Biology to Science Policy. 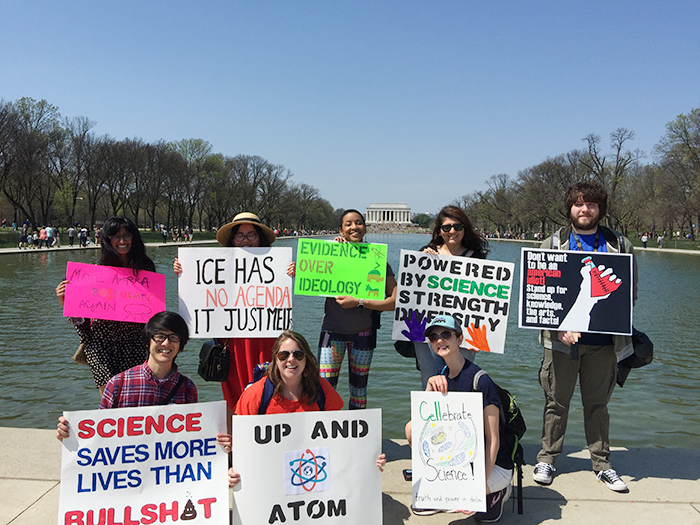 JHSPG at the 2017 March for Science. Poster presented by JHSPG member Chanel Matney at the 2018 ASBMB meeting. Other articles in this issue look at summer meetings and events, OneDep improvements for data replacement, download and display of electron density maps, and more. 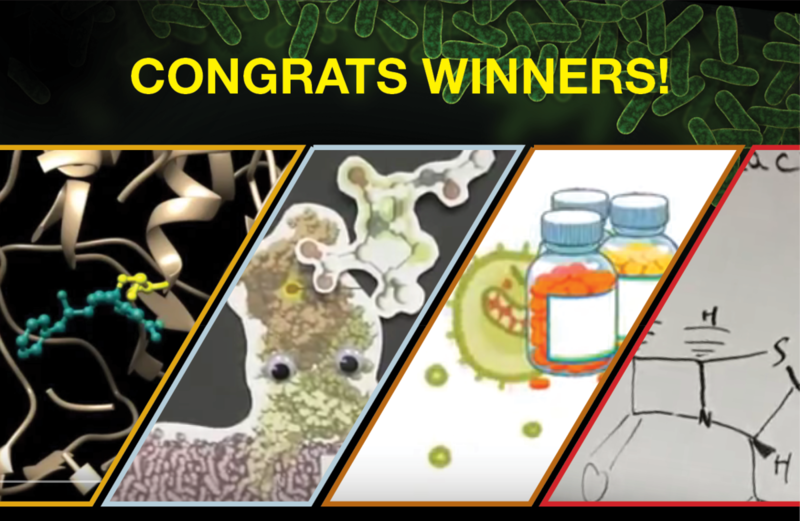 Award-winning videos on antibiotic resistance from the RCSB PDB High School Challenge are highlighted. More at the Summer 2018 Newsletter. 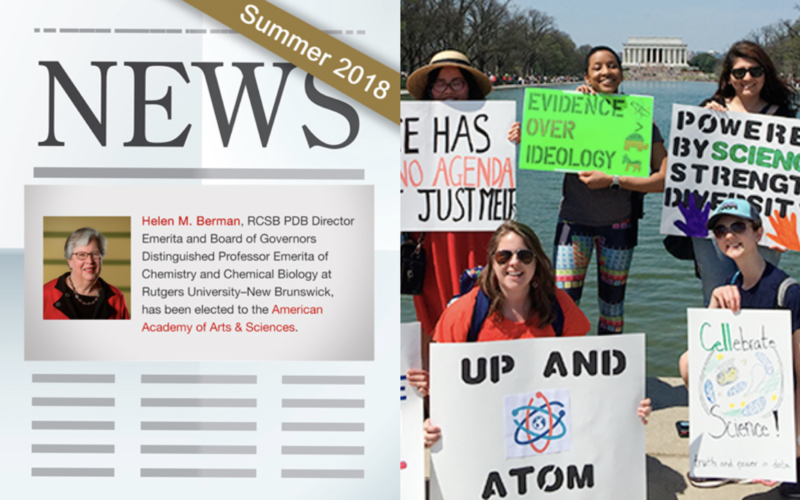 The Summer 2018 issue of the RCSB PDB Newsletter is now online. This issue looks at summer meetings and events, OneDep improvements for data replacement, download and display of electron density maps, and more. Award-winning videos on antibiotic resistance from the RCSB PDB High School Challenge are highlighted. 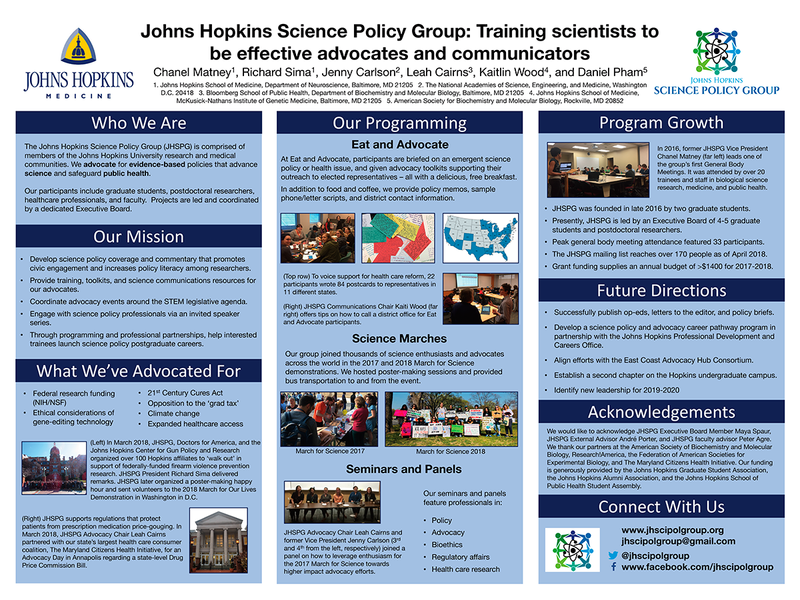 The Education Corner by Leah Cairns (Johns Hopkins University School of Medicine) follows a journey From Structural Biology to Science Policy. 3D electron microscopy (3DEM) is revolutionizing the field of structural biology. Atomic structures of biomolecules are now being determined by 3DEM, due to recent advances in several key technologies, including methods for sample preservation, vastly improved microscopy optics and detectors, and novel methods for structure solution with advanced computing. Researchers are also taking an integrative approach, determining atomic structures of subunits with X-ray crystallography and NMR spectroscopy, then using them to build a large assembly based on data from 3DEM. 3DEM is proving to be a perfect complement to X-ray and NMR techniques, since 3DEM is most effective on large, complex assemblies, which are typically difficult to study by other methods, and does not require large quantities of material, homogeneous samples, or crystallization. 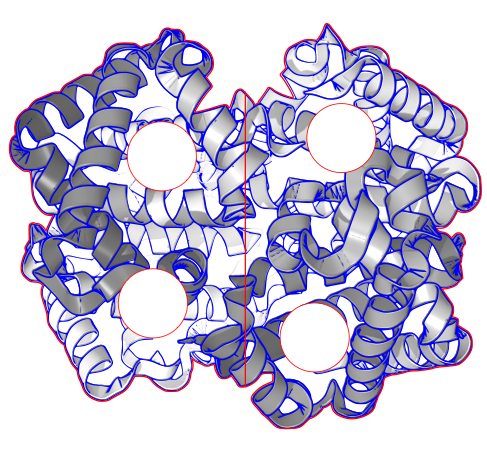 Structures from 3DEM are made publicly available in the PDB archive to help further scientific research and education. 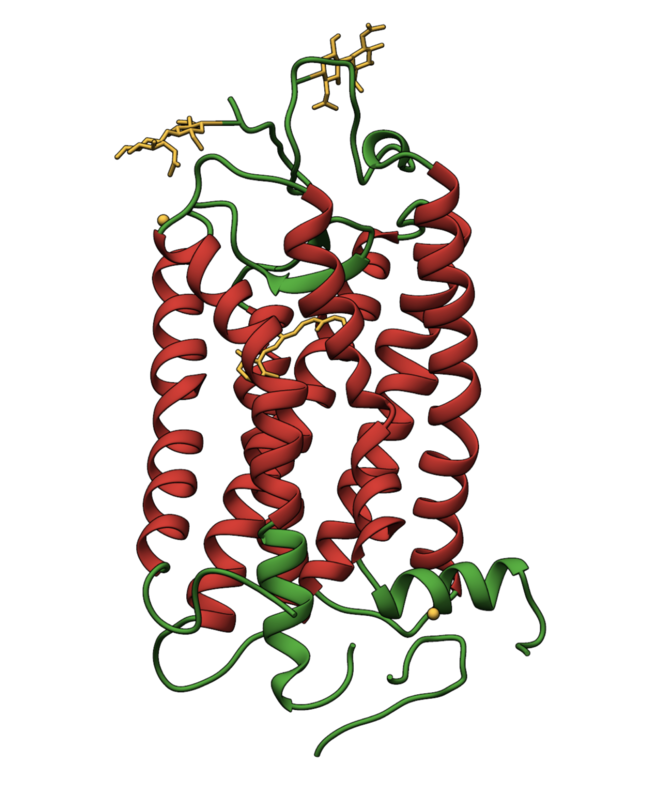 The PDB released its first 3DEM entry in 1991, the ground-breaking structure of bacteriorhodopsin. Since then, more than 2,100 3DEM structures have been made available in the PDB archive, with more than 1000 released from 2015-2017. Explore Nobel Prize-winning research in cryo-electron microscopy and other PDB structures determined using 3DEM. Bacteria are a constant threat, so our bodies have many defenses to protect us from infection. One of our first lines of defense is a collection of small peptides, termed antimicrobial peptides, that are secreted from our cells. These peptides are toxic to a broad spectrum of bacteria, binding to their membranes and disrupting their function. For instance, dermcidin is an antimicrobial peptide secreted by sweat glands that attacks any bacteria on our skin. The active form of the peptide is 47 amino acids long. As seen in the crystal structure (PDB structure 2ymk), it folds into a long alpha helix, and then six copies of the peptide assemble to form a pore that penetrates the bacterial membrane. This allows ions to flood across the cell membrane, ultimately killing the cell. More at Molecule of the Month on Dermcidin. The fifth edition of the Video Challenge for High School Students again demonstrates creativity in storytelling and science communication. This year's challenge focused on the mechanisms of bacterial resistance to beta-lactam antibiotics. 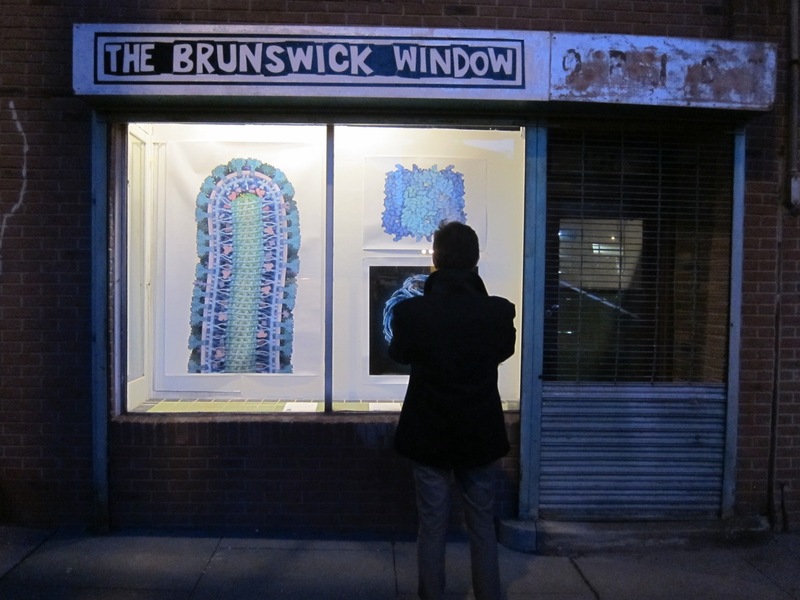 All submitted entries can be viewed online. Our panel of expert judges has scored the videos based on Quality of Storytelling (20%), Quality of Science Communication (30%), Quality of Public Health Message (10%), Originality and Creativity (20%), Quality of Production (10%), and Proper Accreditation (10%). The general public voted for the Viewer's Choice Award. Many thanks to the expert judges, students, teachers, parents, judges, and voters who made this exciting competition happen! RCSB PDB recently challenged high school students to create short videos telling stories about the bacterial resistance to the beta-lactam antibiotics. Watch the challenge entries online and cast your vote now for your favorite video. Voting for the Viewers Choice Award is now open until June 6th 12:59 EST. Winners will be announced at PDB-101 and rcsb.org on June 12, 2018. Papillomaviruses are annoying pests that occasionally turn into deadly dangers. They attack cells in our skin and mucous membranes. When they infect cells, they ramp up the normal growth functions, often forming warts. Usually our defenses are able to get the infection under control, but in some exceptional cases, the virus persists and the unwanted growth can turn into cancer. Alarmingly, infection by a few particularly-virulent types of papillomavirus is the leading cause of cervical cancer. Fortunately, by studying these viruses, scientists have discovered highly effective ways to fight them. Papillomavirus is a small virus, with a simple capsid surrounding a circular DNA genome. The includes 360 copies of the major capsid chain, called L1. A second capsid chain, called L2, is found on the inside and may help with packaging the genome. 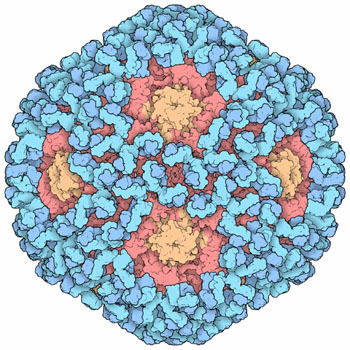 The capsid structure, however, is not a typical quasisymmetrical virus. Instead, like simian virus 40, the L1 chains form 72 pentameric “capsomeres”, which then interact with one another through long flexible tails. To build paper model of Papillomavirus, download and print the template PDF. Instructions for cutting and assembling are included. Use the PDB-101 Browser to explore more resources and articles about viruses. The constantly-growing PDB is a reflection of the research that is happening in laboratories across the world. This can make it both exciting and challenging to use the database in research and education. Where are all the hydrogen atoms in this file? Should I care about the R-factor? Why are there 20 overlapped structures in my file? These questions and many others are explored in PDB-101's Guide to Understanding PDB Data. This resource was created to help users navigate through the contents of the archive without having a detailed background in structural biology. Topics cover biological assemblies, molecular graphics programs, R-value and R-free, and more. From Methods for Determining Atomic Structures: Structures of photoactive yellow protein were determined by serial femtosecond crystallography after illumination, capturing the isomerization of the chromophore after it absorbs light. Structures included in this movie include: 5hd3 (ground state), 5hdc (100-400 femtoseconds after illumination), 5hdd (800-1200 femtoseconds), 5hds (3 picoseconds), 4b9o (100 picoseconds), 5hd5 (200 nanoseconds) and 1ts0 (1 millisecond). For more, see Molecule of the Month on Photoactive Yellow Protein. 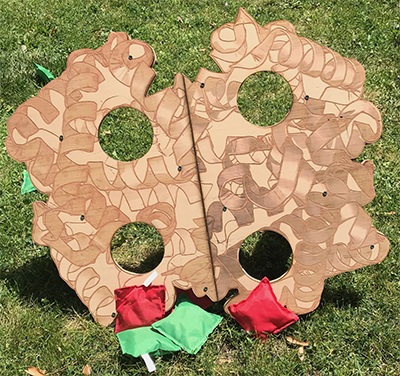 In the latest Newsletter, Keagan O’Mara (@MisterOMara, Bio-Med Science Academy STEM School) describes making protein models with his Environmental Engineering class. Other articles look at the impact of the PDB archive as described in a new Protein Science publication, highlights new and updated Validation Reports, and announces new features available at RCSB.org. Information about the High School Video Challenge focused on antimicrobial resistance is also available. More at the Spring 2018 Newsletter. 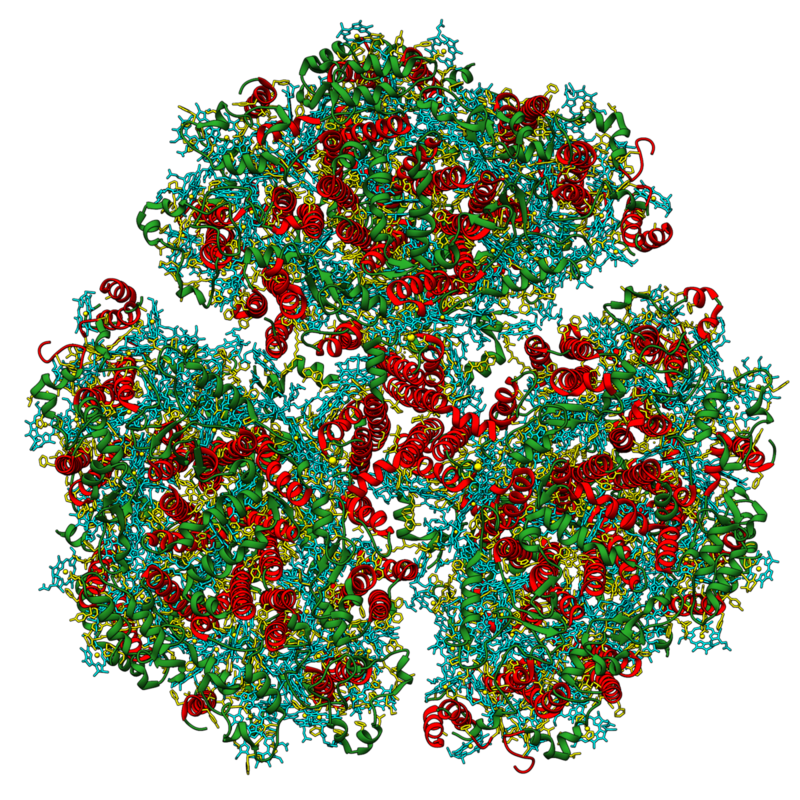 In 2013, PDB-101 released its first molecular animation, What is a Protein?. Since then, that video has been viewed more than 450,000 times. PDB-101 has continued to publish many more videos and animations, including How Enzymes Work and A Molecular View of HIV Therapy. Building upon the success of these new features, What is a Protein? was recently been updated and improved. Watch it now at PDB-101. A related PDF Flyer is also available for download from PDB-101. Rutgers Distinguished Professor Paul Falkowski, RCSB PDB Advisory Committee Member, will be presented the Tyler Prize for Environment Achievement in a ceremony in Washington D.C. on May 3, 2018. The 2018 Tyler Prize for Environmental Achievement – often described as the ‘Nobel Prize for the Environment’ – has been awarded to Paul Falkowski and James J. McCarthy, for their decades of leadership in understanding – and communicating – the impacts of climate change. Paul Falkowski, one of the world’s greatest pioneers in the field of biological oceanography, is a Rutgers distinguished professor in the departments of Earth and Planetary Sciences and Marine and Coastal Sciences and is the founding director of the Rutgers Energy Institute. James J. McCarthy is from the Department of Biological Oceanography at Harvard University. Some proteins have played key roles in the environment: some were involved in global changes millions of years ago, and some are affecting the environment today. By understanding these molecules, we can manage our impact on the environment more effectively. More at PDB-101. Rutgers Day is a full day of discovery and lively activities that showcase the varied resources, departments, and people at the university. 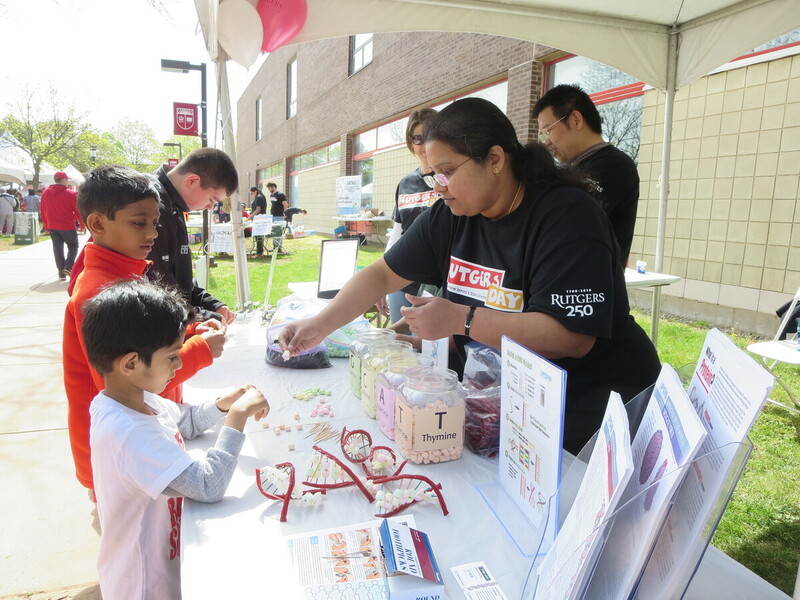 Learn about the Protein Data Bank, Health, and You with at the RCSB PDB Molecular Candy Lab in the Life Sciences area on Busch Campus (BLSA-224). Explore biology at the molecular level by building virus and DNA models with your favorite candy. National DNA Day is celebrating the 15th anniversary of the completion of the Human Genome Project in 2018! On April 25th, students, teachers and the public can learn more about how advances in genetics and genomics have changed people's lives and what the future holds. Meet RCSB PDB at the American Society for Biochemistry and Molecular Biology (ASBMB) meeting that will take place during Experimental Biology 2018 (April 21-25 in San Diego). Learn about PDB-101 and other activities during Saturday's Science Outreach Activity Poster Session to be held during the Welcome Reception. 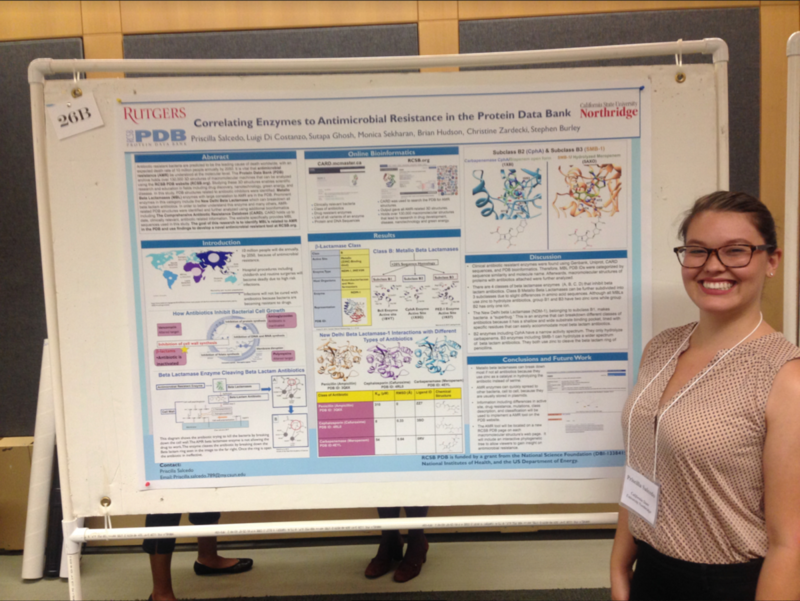 Intern Priscilla Marie Salcedo will describe how she is Correlating Enzymes in Antimicrobial Resistance in the PDB during the Saturday undergraduate and Tuesday poster sessions. 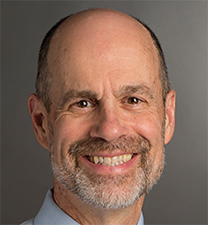 RCSB PDB advisor Paul Craig will receive ASBMB’s Award for Exemplary Contributions to Education for his work promoting hypothesis-driven thinking in the undergraduate biochemistry lab. 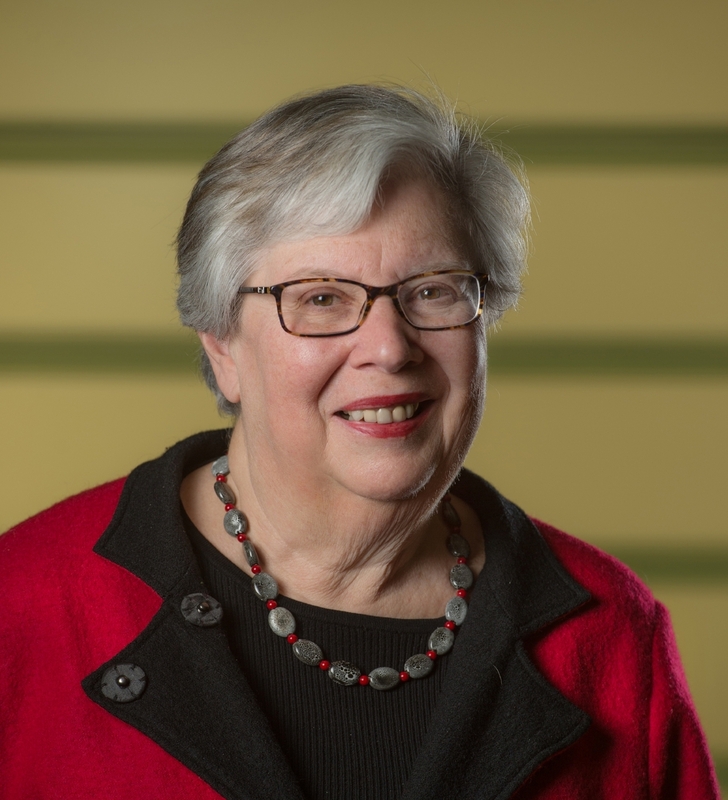 Helen M. Berman, RCSB PDB Director Emerita and Board of Governors distinguished professor emerita of chemistry and chemical Biology at Rutgers University–New Brunswick, has been elected to the American Academy of Arts and Sciences. Berman is among 213 people elected to the academy this year, including author Ta-Nehisi Coates, actor Tom Hanks, President Barack Obama, Supreme Court Justice Sonia Sotomayor, gene editing developer Feng Zhang and pediatric neurologist Huda Zoghbi. Founded in 1780, the academy honors scholars, leaders, artists and innovators and engages them in sharing knowledge and addressing challenges facing the world. The academy’s projects and publications generate ideas and offer recommendations to advance the public good in the arts, citizenship, education, energy, government, the humanities, international relations, science and more. In 1971, Berman cofounded the Protein Data Bank (PDB) – the international archive of the structures of biological macromolecules. She directed the Research Collaboratory for Structural Bioinformatics Protein Data Bank (RCSB PDB), a member of the Worldwide Protein Data Bank, from 1998 to 2014. Berman, who worked in the School of Arts and Sciences, plays a leadership role for the Electron Microscopy Data Resource (EMDR) and is currently developing infrastructure for archiving structures that have been determined using integrative/hybrid methods. Her work on structural bioinformatics has been informed by her research in structural biology, where she focused on nucleic acids, protein nucleic acid complexes, collagen and hydration of macromolecules. Currently, she is making documentary films that communicate the importance of structural biology in medicine and health. During her nearly 50-year career, Berman has won numerous honors. She is a fellow of the International Society for Computational Biology, the American Association for the Advancement of Science, the Biophysical Society and the American Crystallographic Association. She received the Distinguished Service Award from the Biophysical Society in 2000; the Carl Brändén Award from the Protein Society in 2012; the DeLano Award for Computational Biosciences from the American Society for Biochemistry and Molecular Biology in 2013; and the Benjamin Franklin Award for Open Access in the Life Sciences in 2014. The newly elected academy members include 36 international honorary members from 20 countries. They will be inducted at a ceremony in October in Cambridge, Massachusetts. Their signatures will be recorded in the Book of Members, joining Benjamin Franklin (1781), Alexander Hamilton (1791), Ralph Waldo Emerson (1864), Maria Mitchell (1848), Charles Darwin (1874), Albert Einstein (1924), Robert Frost (1931), Margaret Mead (1948), Milton Friedman (1959) and Martin Luther King Jr. (1966). Antibiotics have saved millions of lives, but misuse and overuse has caused an emergence of new and resistant bacteria that threaten our ability to treat common infectious diseases. RCSB PDB invites high school students across the USA to study the molecular mechanisms behind the resistance, create a short video, and submit to our annual challenge. To learn more, visit PDB-101. The deadline for submissions is May 23. Award winners will be announced on June 12, 2018. The Spring 2018 issue of the RCSB PDB Newsletter is now online. This issue looks at the impact of the PDB archive as described in a new Protein Science publication, highlights new and updated Validation Reports, and announces new features available at RCSB.org. Information about the High School Video Challenge focused on antimicrobial resistance is also available. 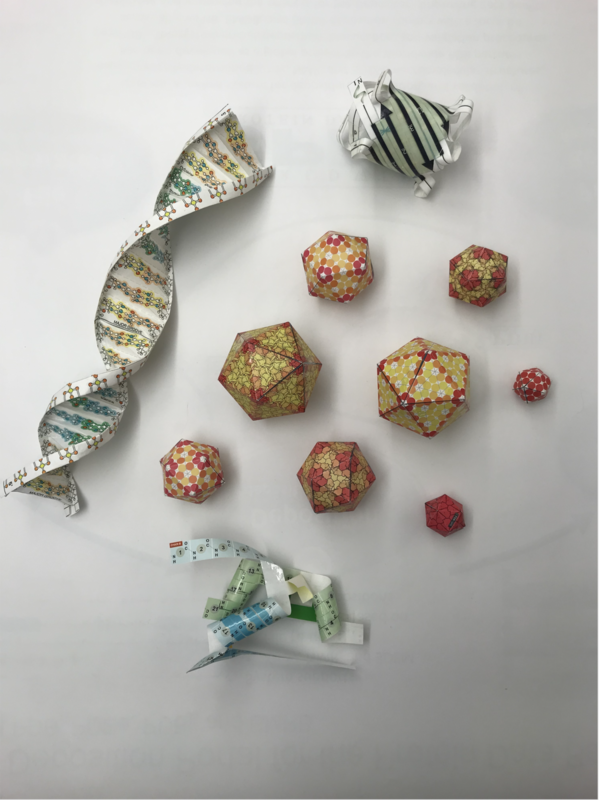 The Education Corner features Creating sculptural models of proteins in a high-school engineering class by Keagan O’Mara, Bio-Med Science Academy STEM School. The RCSB PDB Newsletter is published and archived online. Irving Geis (October 18, 1908-July 22, 1997) was a gifted artist who helped illuminate the field of structural biology with his iconic images of DNA, hemoglobin, and other important macromolecules. Every second inside every living cell, thousands of chemical reactions are taking place. These reactions constitute the essential tasks of life such as metabolism, protein synthesis, cell renewal and growth. Learn how the proteins called enzymes work to maintain the rate of these reactions at a life-sustaining level in this video hosted by PDB-101. Explore the PDB-101 Browser to learn more about enzymes. Antibiotics have saved countless lives, but pathogens are quickly finding ways to survive antibiotic treatment. Antibiotic-resistant bacteria are predicted to become the leading cause of death worldwide, with an expected death rate of 10 million people annually by 2050. They take many approaches: pumping antibiotics out of their cells, altering the molecular machinery that the antibiotics target, and attacking the antibiotics directly. Atomic structures publicly available in the PDB are revealing the details of drug resistance and providing new ways to combat it. Enter to win a printed copy by sending your address via the Contact Us button. This calendar was created by the RCSB PDB and Jenna Abyad (Drew University) and Priscilla Salcedo (California State University, Northridge) as part of a summer internship with RCSB PDB as described in our Newsletter. Enter to win a printed copy by sending your address via the Contact Us button, or download in PDF or PowerPoint formats. 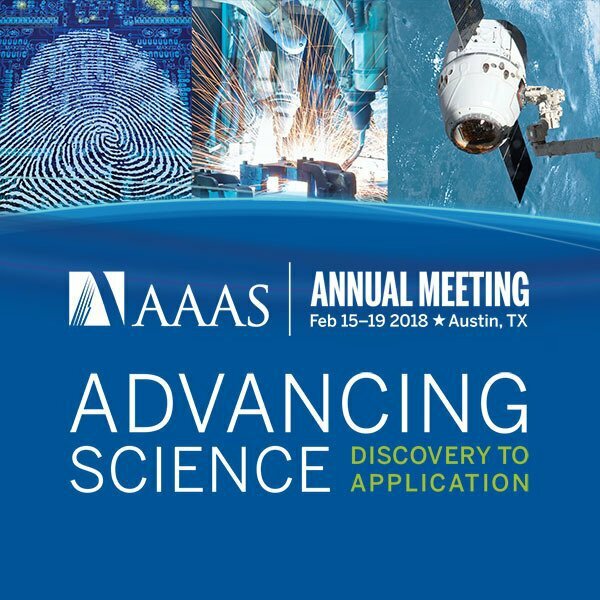 Meet RCSB PDB at the AAAS Annual Meeting February 15-19 in Austin, TX. Learn how RCSB PDB is Sustaining A Living Digital Data Resource That Enables Breakthroughs in Scientific Research and Biomedical Education at Sunday's poster session at 2:55pm. 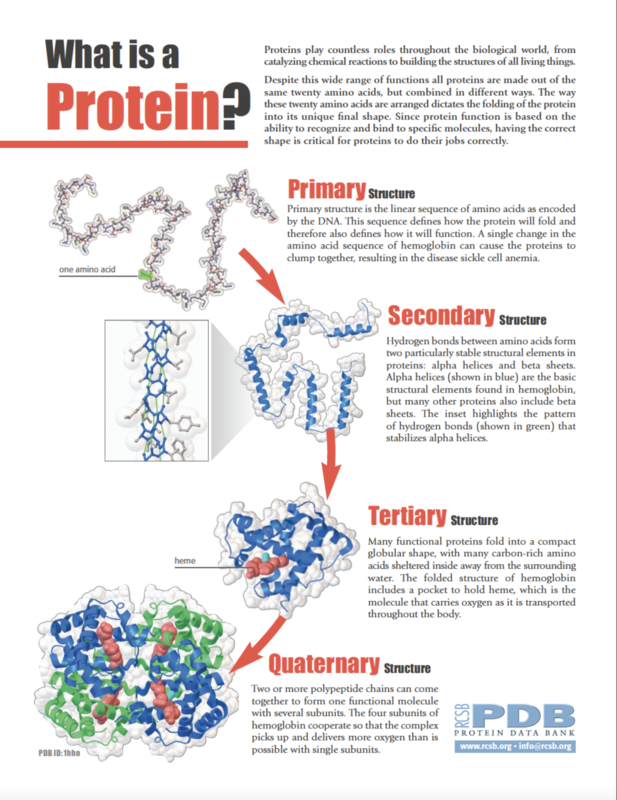 Protein Science has devoted a special issue (and introduced a new journal article category) to the many modern tools and resources available to researchers interested in the study of proteins and other macromolecules. Tools for Protein Science highlights computational resources for structure determination, visualization and analysis, molecular modeling, sequence analysis, and analyzing cellular proteins. In this issue, the article RCSB Protein Data Bank: Sustaining a living digital data resource that enables breakthroughs in scientific research and biomedical education explores the impact of open and accessible PDB data on research, clinical medicine, education, and the economy. 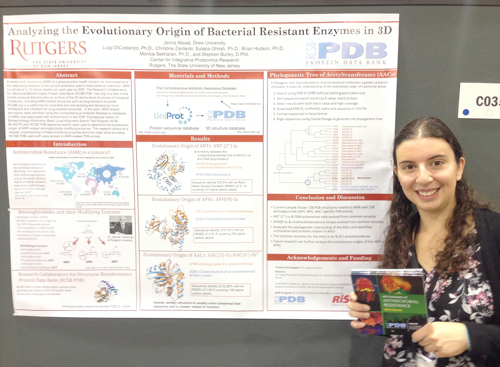 In the latest Newsletter, RCSB PDB interns describe their journey from summer research to presenting their work at ABRCMS. Jenna and Priscilla spent the summer of 2017 at the RCSB PDB with support from an NSF Research Experience for Undergraduates (REU). Their work focused on exploring PDB structures related to antimicrobial resistance. Identification of these structures helps researchers understand antibiotic inactivation and drug resistance. Their insights from the summer included suggestions for how to improve the presentation of antibiotic resistance-related PDB structures on RCSB.org, and also led to the development of the 2018 RCSB PDB Calendar. Their work provided them with another opportunity: poster presentations at the 2017 Annual Biomedical Research Conference for Minority Students (ABRCMS). Their research was part of the RISE (Research Intensive Summer Experience) at Rutgers program. RISE is a nationally acclaimed summer research program for outstanding undergraduates from diverse backgrounds. Scholars participate in 10 weeks of cutting-edge research in the biological, physical, and social/ behavioral sciences, math, engineering, and exciting interdisciplinary areas under the guidance of carefully matched faculty mentors. A comprehensive professional development component, including GRE preparation, complements the research. Apply for RISE and you may wind up working with the RCSB PDB! Priscilla Marie Salcedo is a junior at California State University Northridge majoring in Microbiology. The Winter 2018 issue of the RCSB PDB Newsletter is now online. This issue reviews 2017 milestones and publications, improved text searching, and implementation of versioning for PDB data files. In the Education Corner, RCSB PDB summer interns describe their journey to presenting their work at the ABRCMS meeting. This calendar was created by the RCSB PDB and Jenna Abyad (Drew University) and Priscilla Salcedo (California State University, Northridge) as part of a summer internship with RCSB PDB. PDB-101 offers many other materials focused on Antimicrobial Resistance. Past news and events have been reported at the RCSB PDB website and past Newsletters.